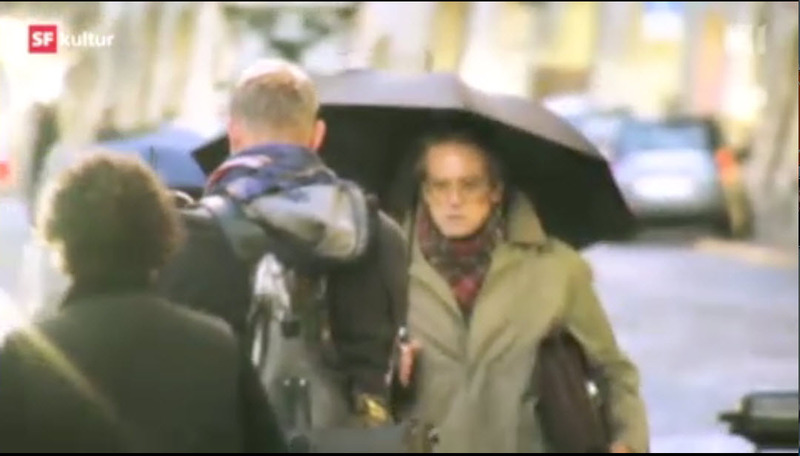 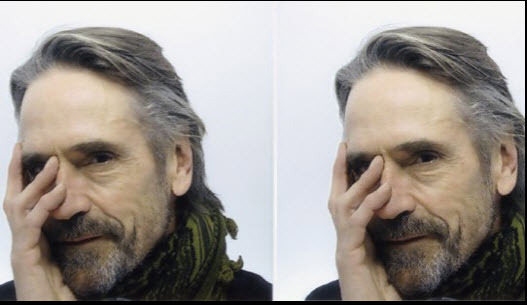 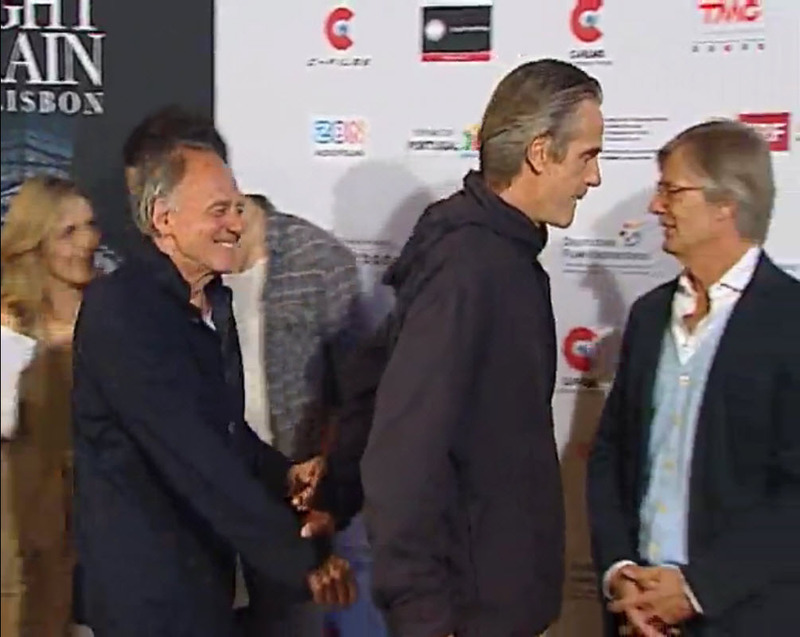 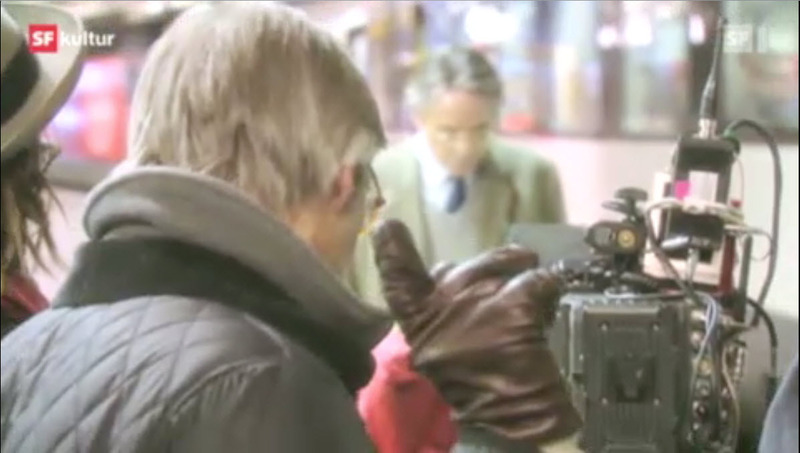 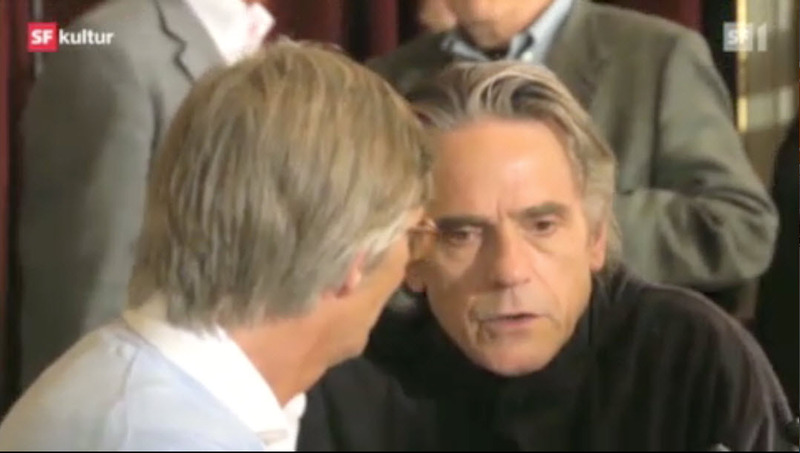 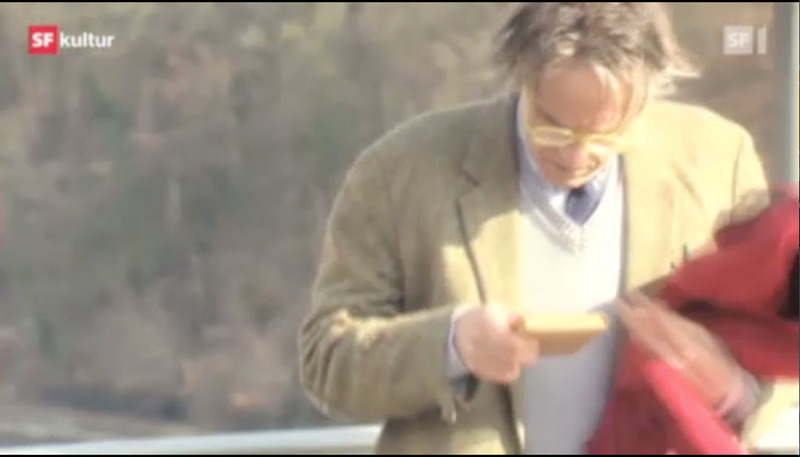 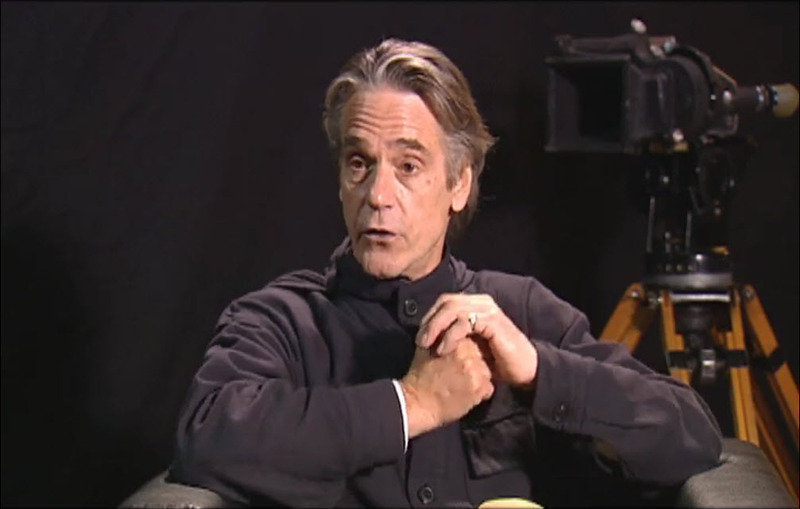 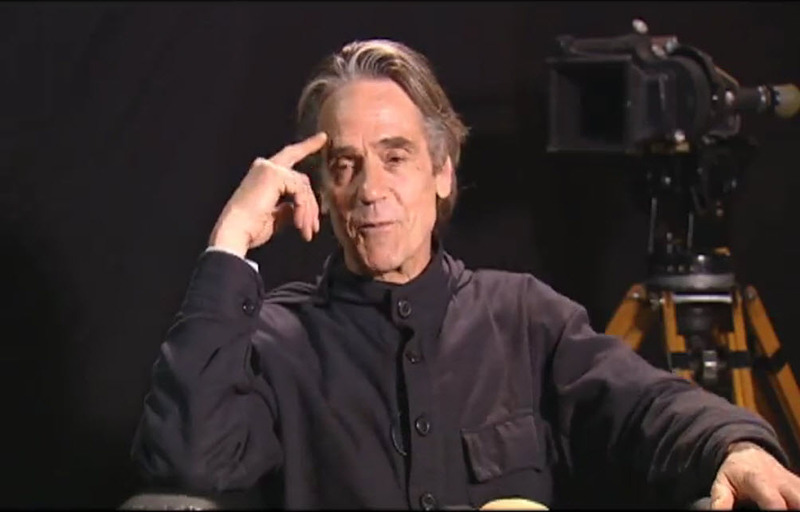 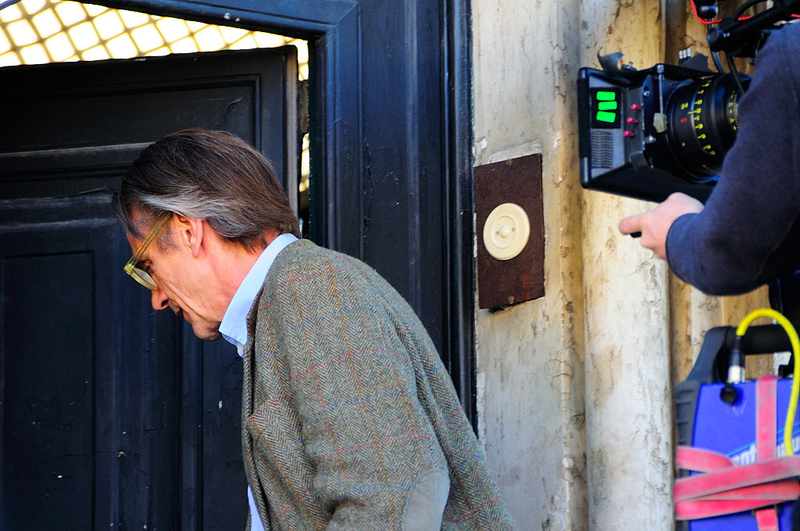 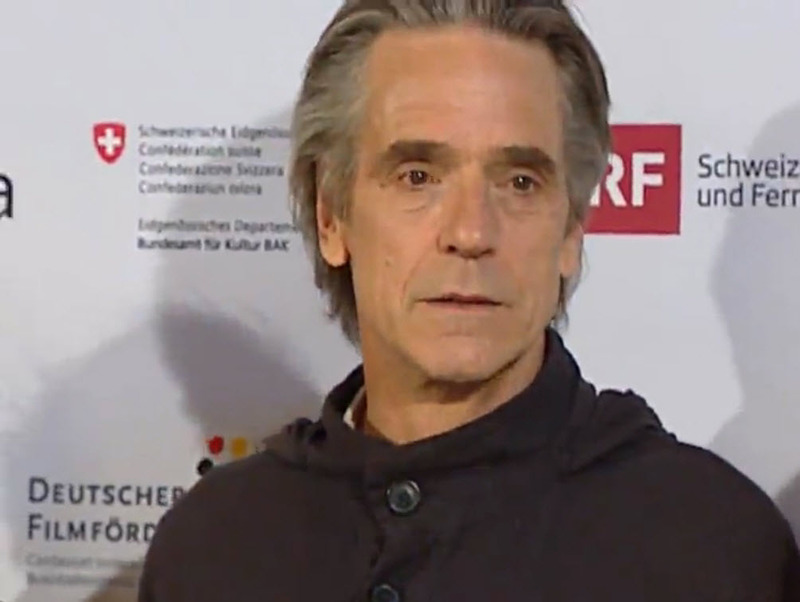 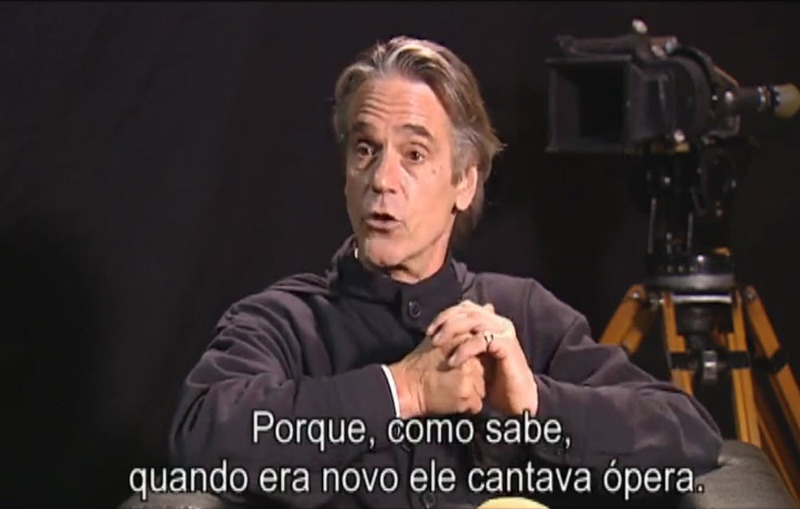 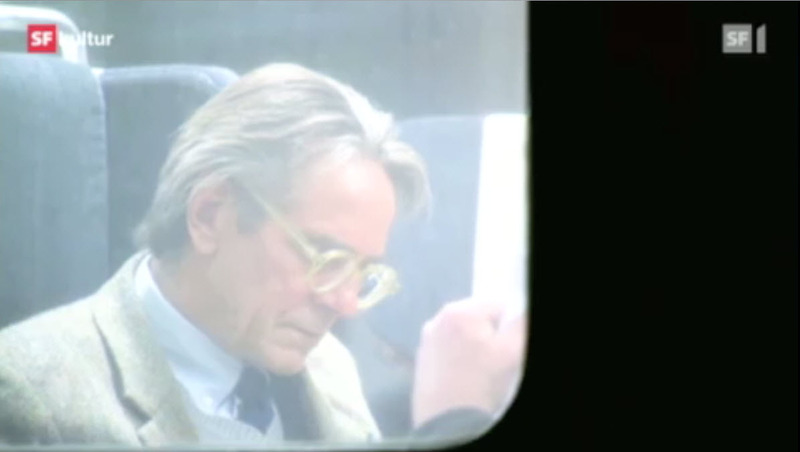 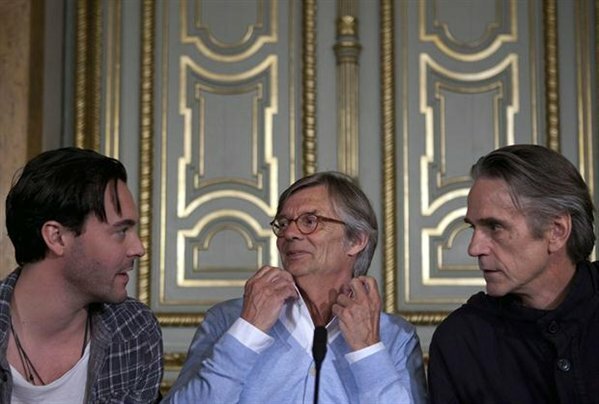 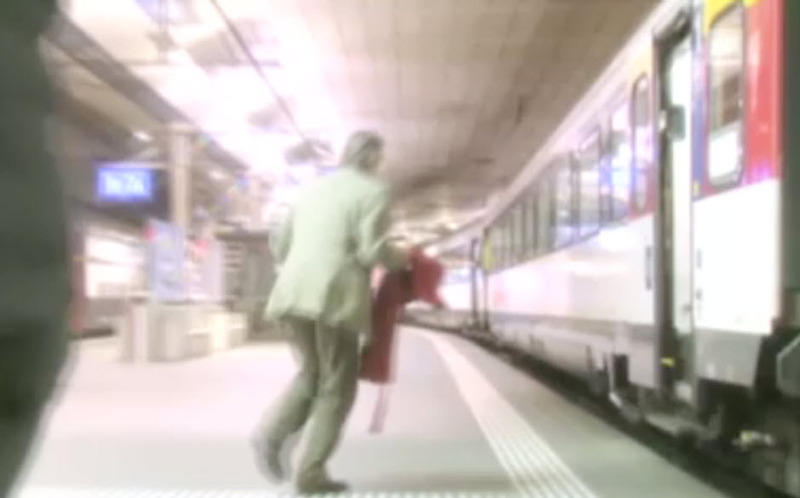 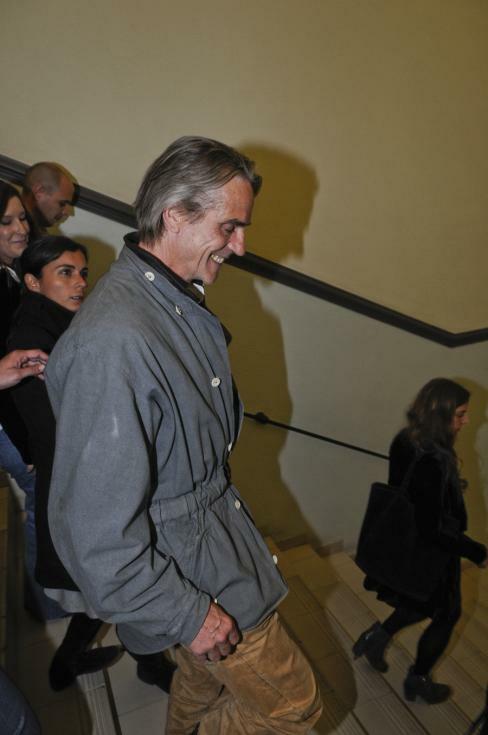 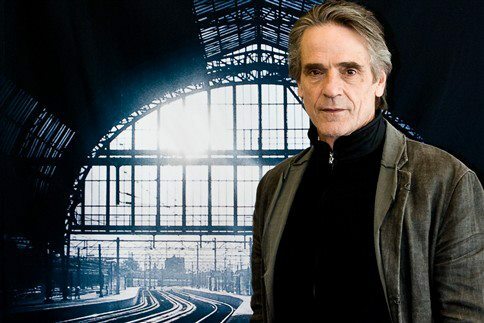 Night train to Lisbon // Making of // Bille August, Jeremy Irons from Cineuropa on Vimeo. 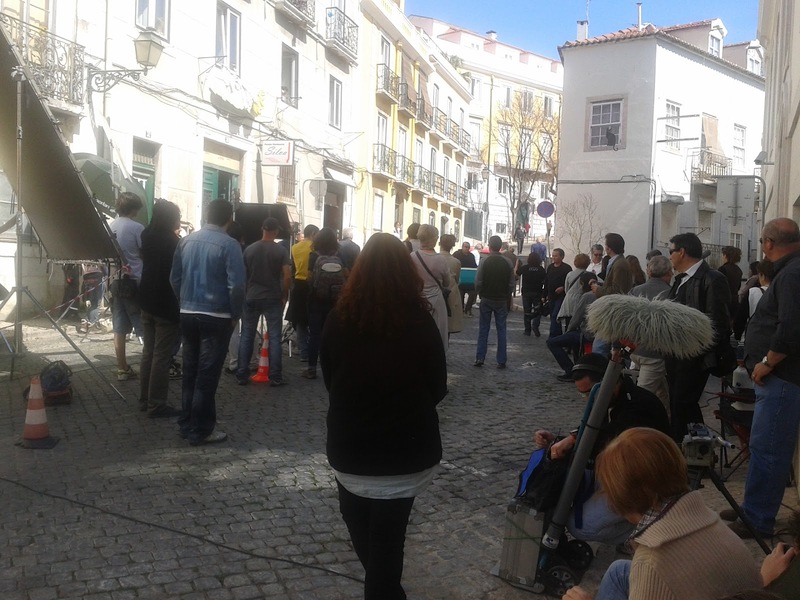 The first major international film production with the name of the Portuguese capital in the title will debut early next year and will be distributed worldwide, was announced today by producer Ana Costa. 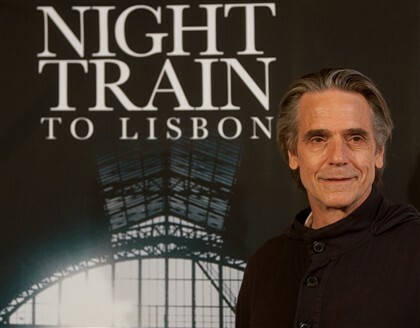 The filming of “Night Train to Lisbon ‘, directed by Danish Bille August , runs from Monday and lasted for the next eight weeks in the local Portuguese capital, in Caxias (Oeiras) and Palmela. 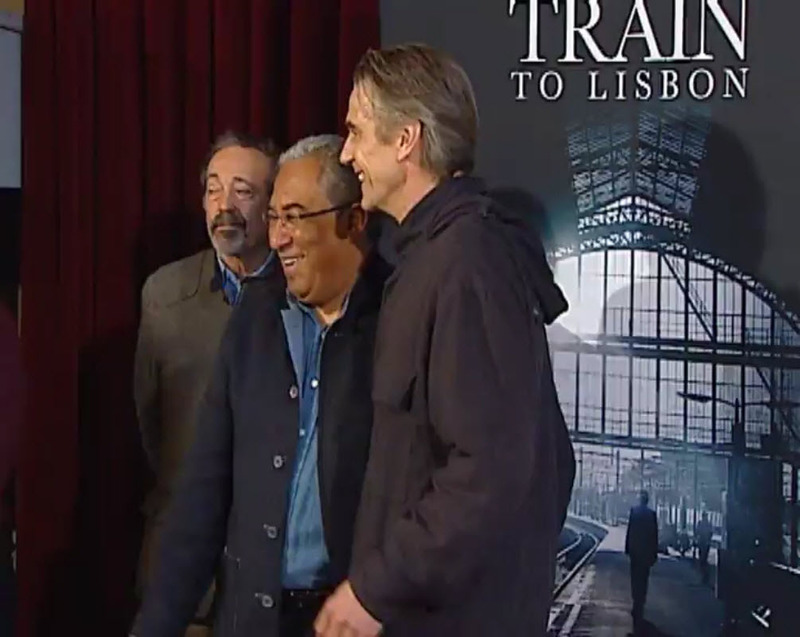 The total investment will be eight million, four million of which will be spent in Lisbon, a co-production between Portugal, Germany and Switzerland, in the capital took place over four days, the only footage of the work outside of Portugal. 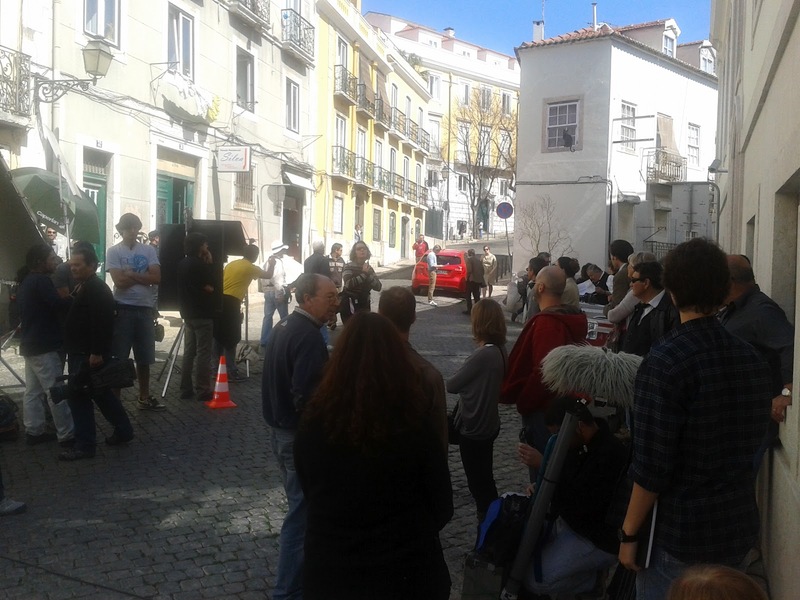 The film, which is an adaptation of a novel by Swiss writer Pascal Mercier, will involve a team of 75 people, mostly Portuguese, to tell the story of a Latin teacher in Bern that in the years 1960, reaches Lisbon to find out more about Amadeu de Prado, medical writer and aristocratic Portuguese opposition to the dictatorial regime that was the rage in the country. 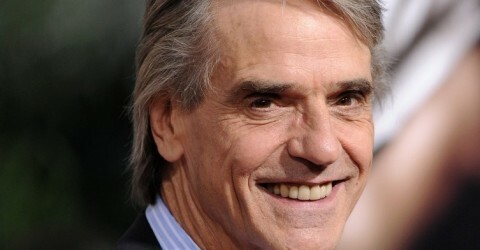 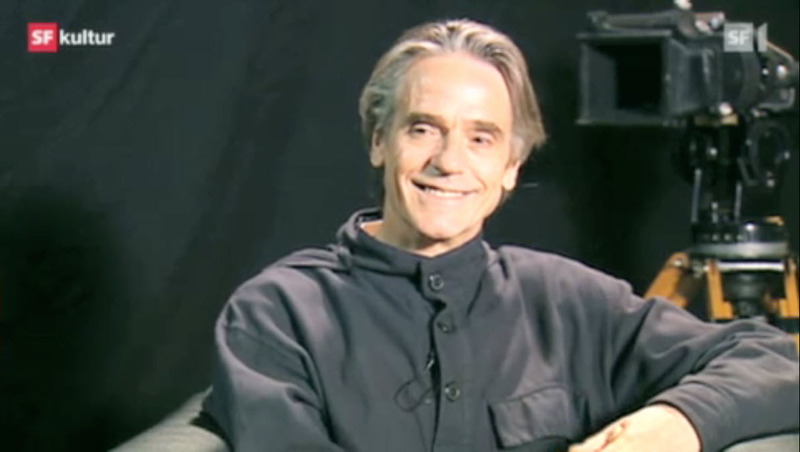 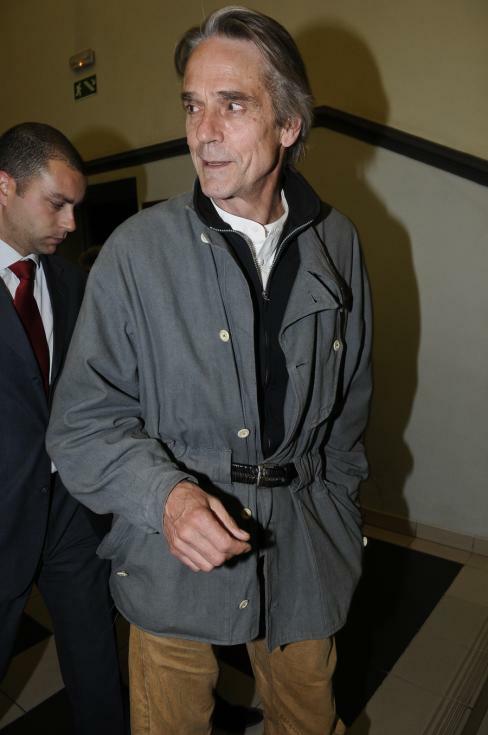 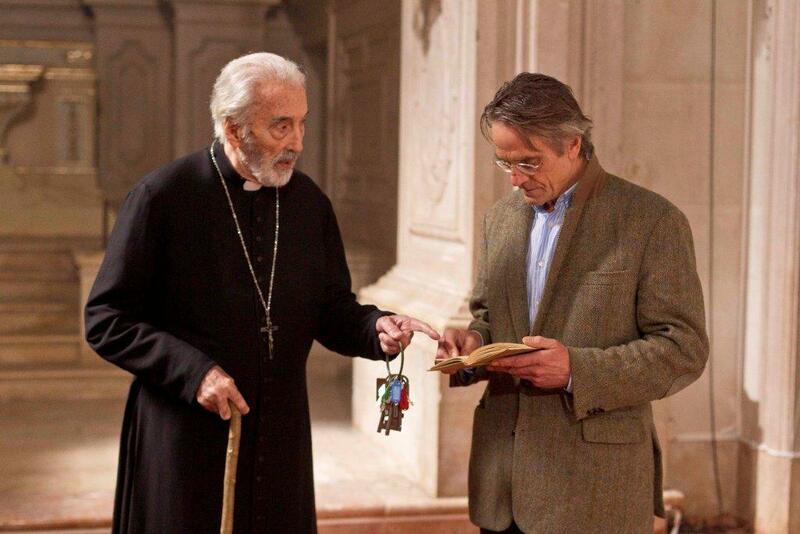 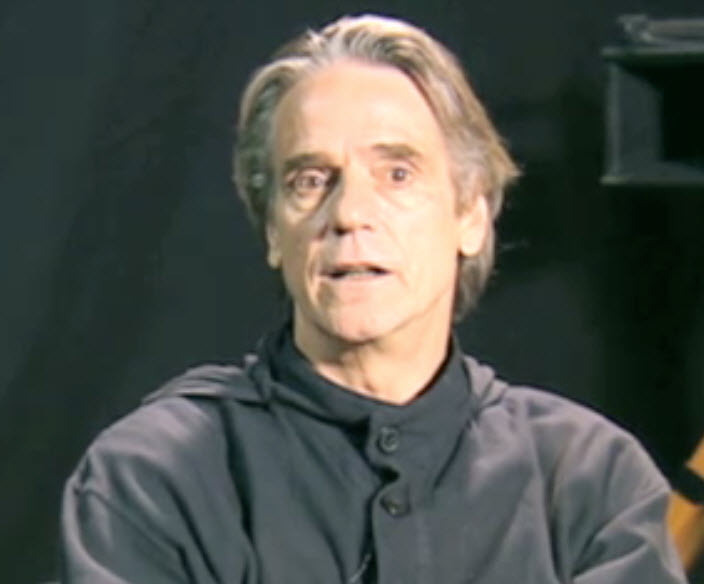 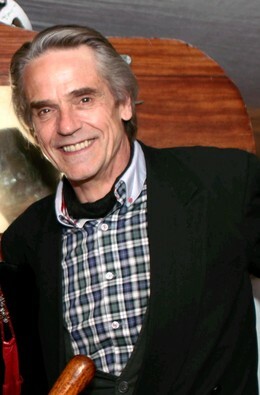 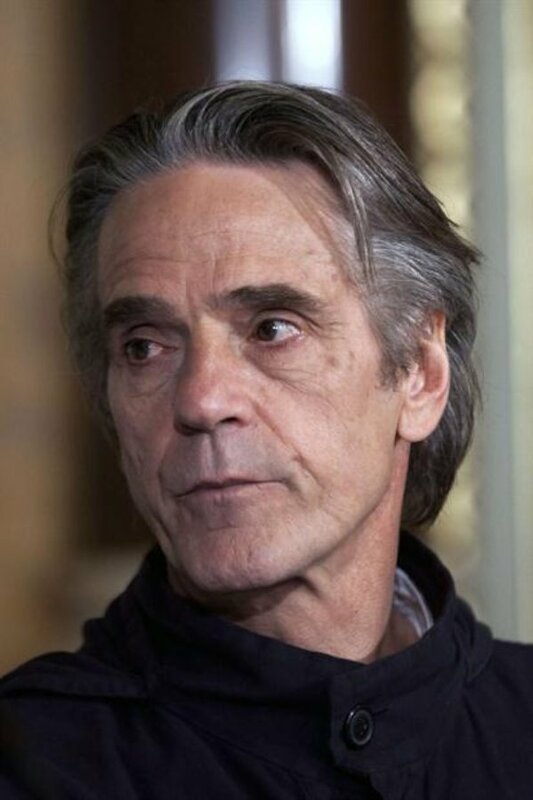 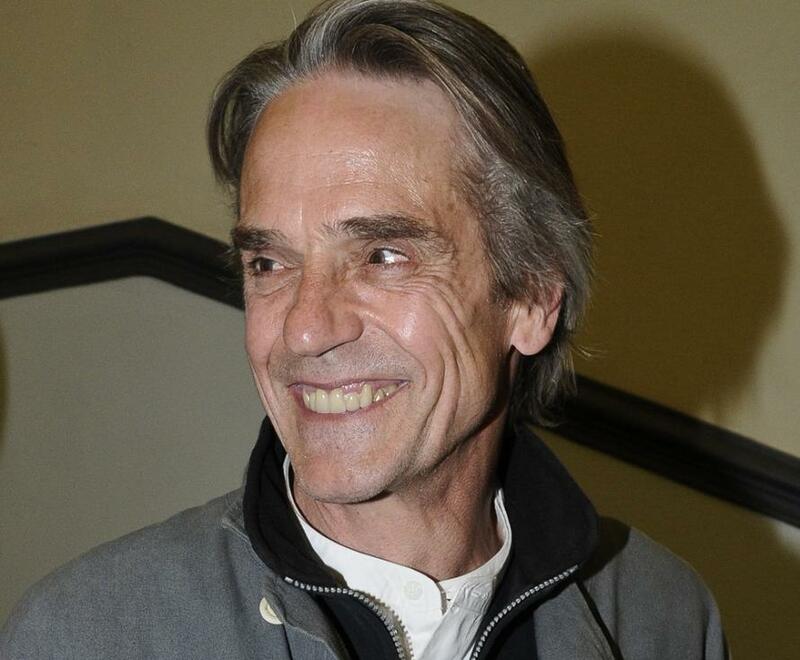 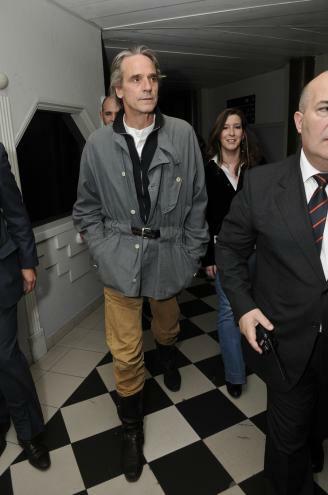 The main role is in charge of British actor Jeremy Irons , who returns to work in Portugal, as noted in today’s meeting with journalists, 19 years after having been in the country to run “The House of Spirits’ , also directed by August and based on the novel’s namesake Chilean author Isabel Allende. 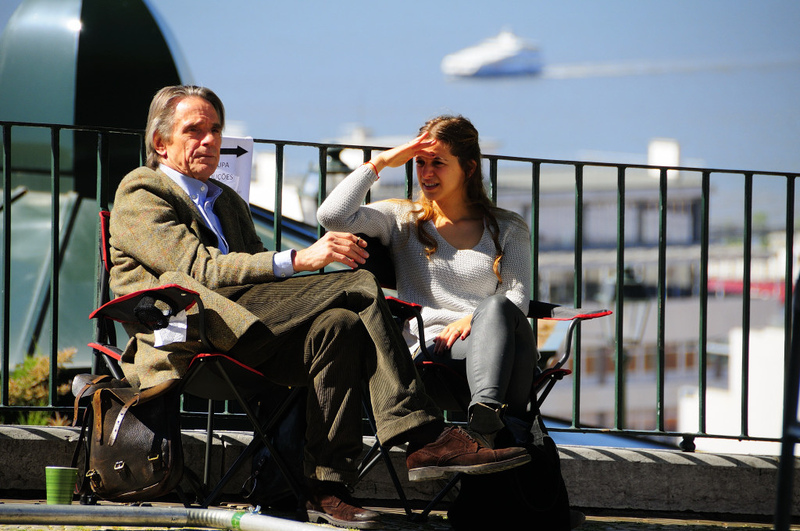 Actors Nicholas Breyner and Beatriz Batarda are some of the Portuguese who are also part of the cast, which also includes the representation of Melanie Laurent (France), Jack Huston and Tom Courtenay (UK), August Diehl (Germany) and Bruno Ganz ( Switzerland), among others. 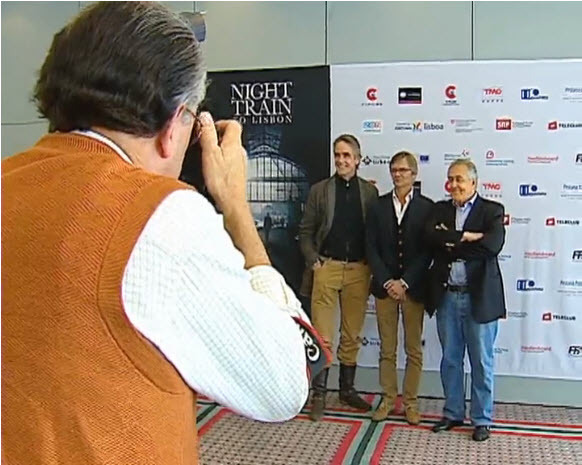 Ana Costa, CineMate the producer, said: “Night Train to Lisbon” will be the movie that will have the largest financial support from the European fund Eurimages, whose value is not specified. 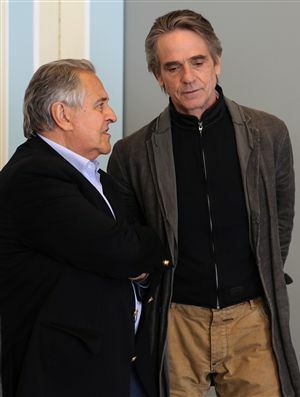 He also stressed the investment in the current context of crisis, the film will bring to Lisbon, where inject four million euros during the period of filming. 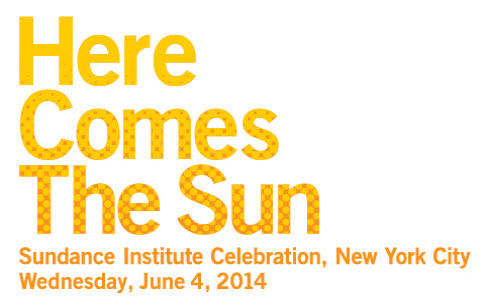 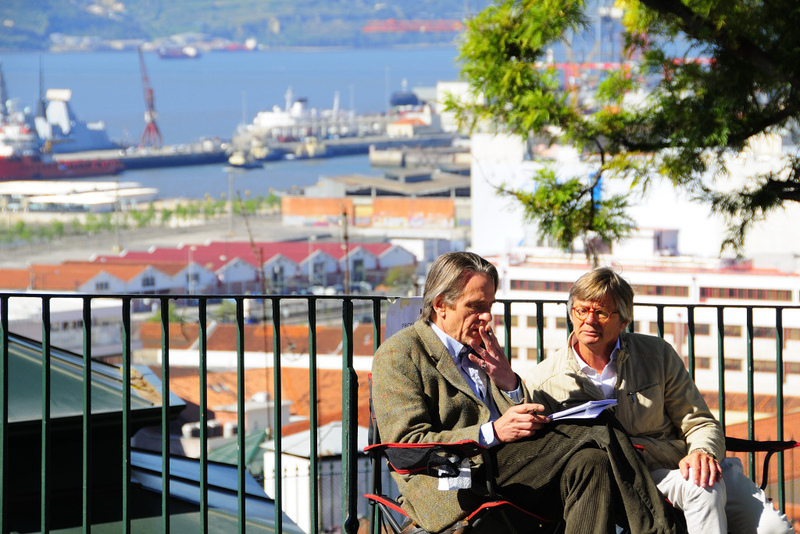 The city of Lisbon is among the sponsors of the work, such as the Institute of Cinema and Audiovisual (ICA). 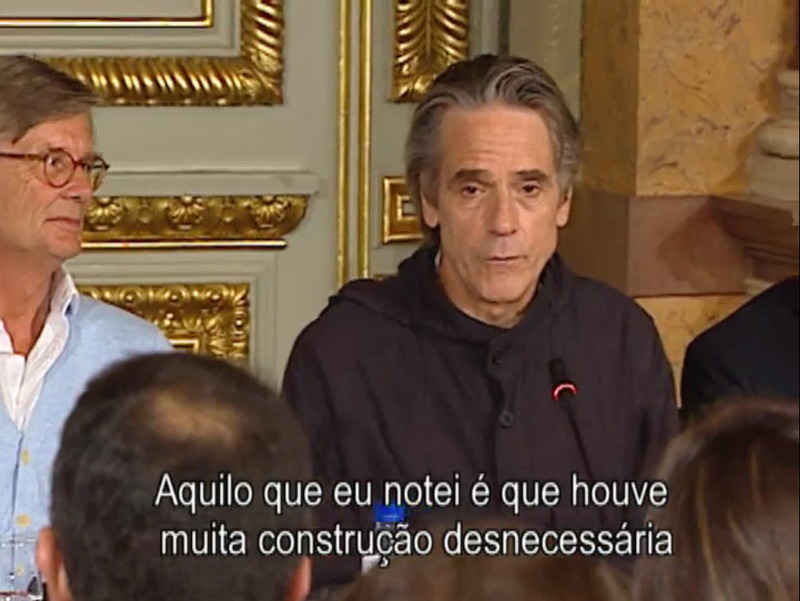 Since the Fund for Cinema and Audiovisual (FICA) gave no financial contribution, despite having signed a contract to that effect, fails to Ana Costa attributed to the fact that this institution be “frozen” since 2008. 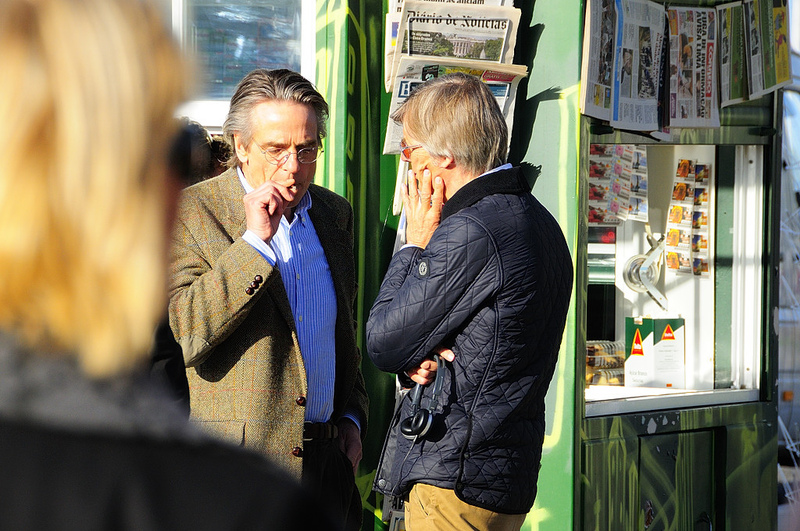 This investment would make even more sense for the movie has already secured the display abroad, in charge of the German distributor K5. 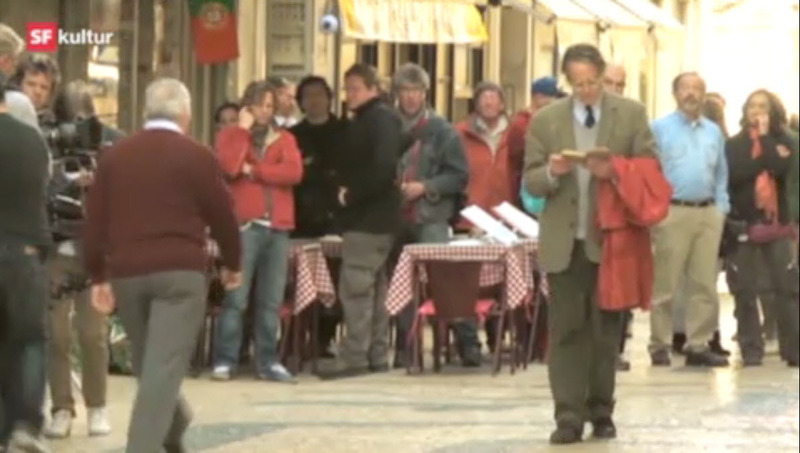 In Portugal this role will be assumed by ZON Audiovisuals. 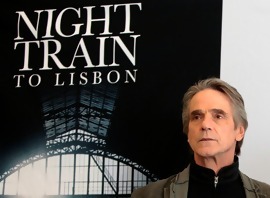 The British actor arrived today (18) to the Portuguese capital for the start of filming of his new album, “Night Train to Lisbon” (“Night Train to Lisbon ‘). 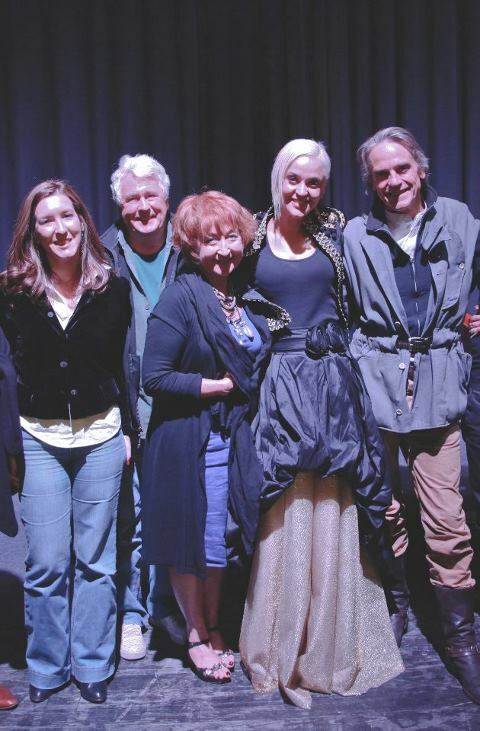 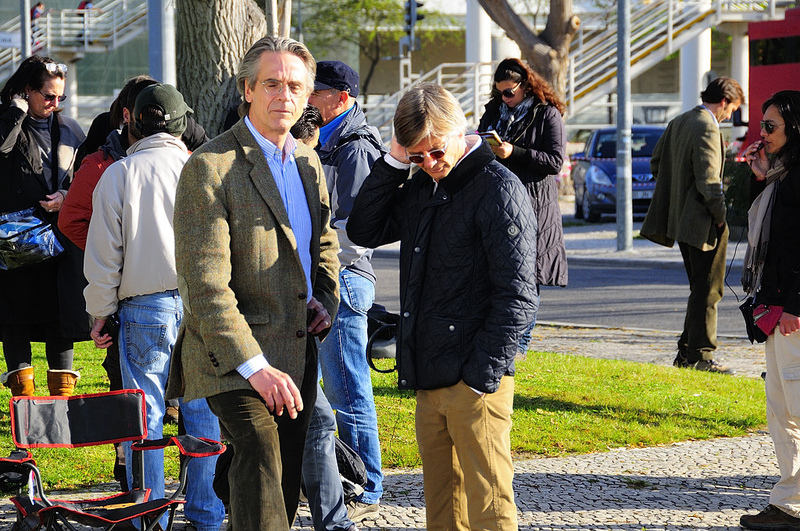 Accompanied by director Bille August and the film makers, the press Irons presented the project, which will be filmed almost entirely in Lisbon in the next seven weeks. 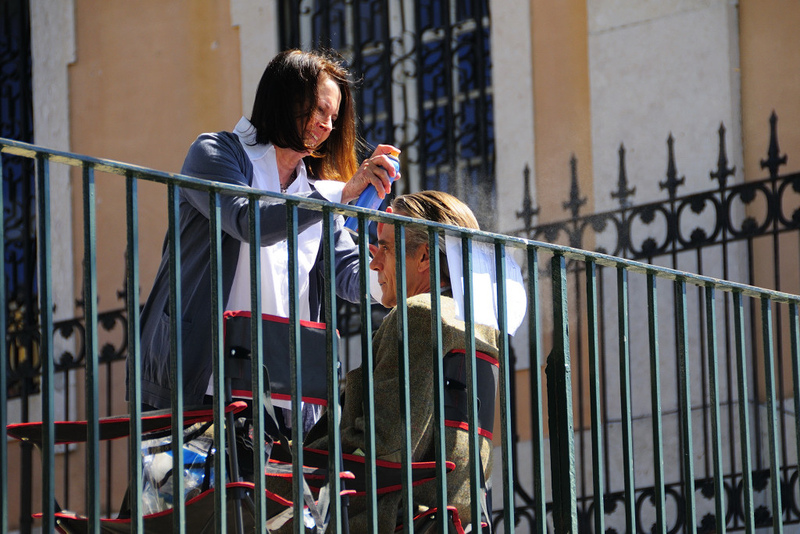 It is the second time the two worked together in Portugal: in 1993 they filmed in Alentejo “The House of the Spirits.” The shooting started last week with four days of filming in Bern, Switzerland. 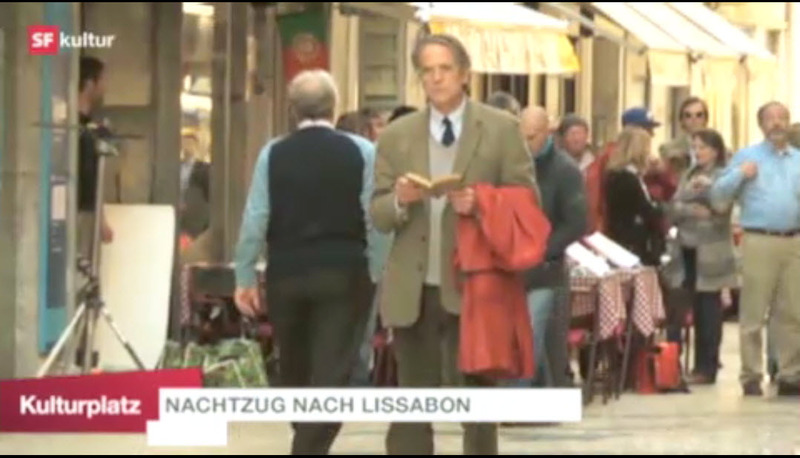 Based on the novel by Pascal Mercier Swiss, “Night Train to Lisbon” chronicles the life of a quiet Latin teacher, Raimund Gregorius, who lives in Bern. 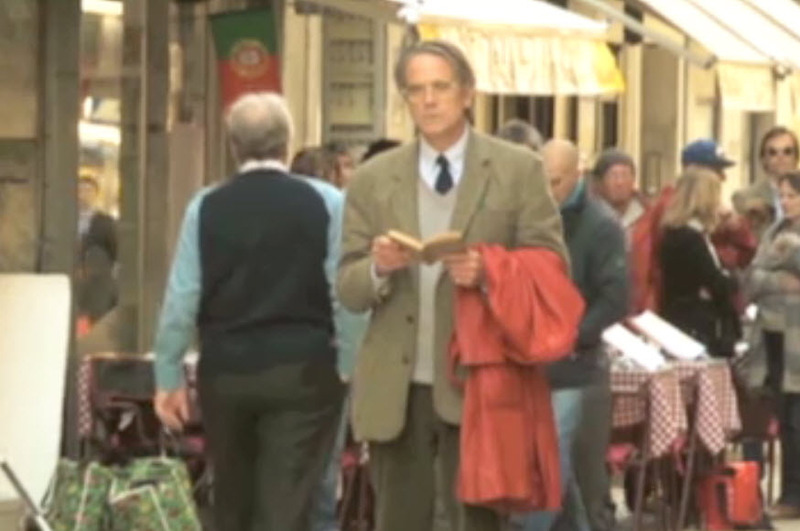 Encased in a routine life, Gregorius takes the unexpected decision to enter a train to Lisbon without an apparent reason – after going to the station to deliver the jacket lost a young man who saved him from suicide. 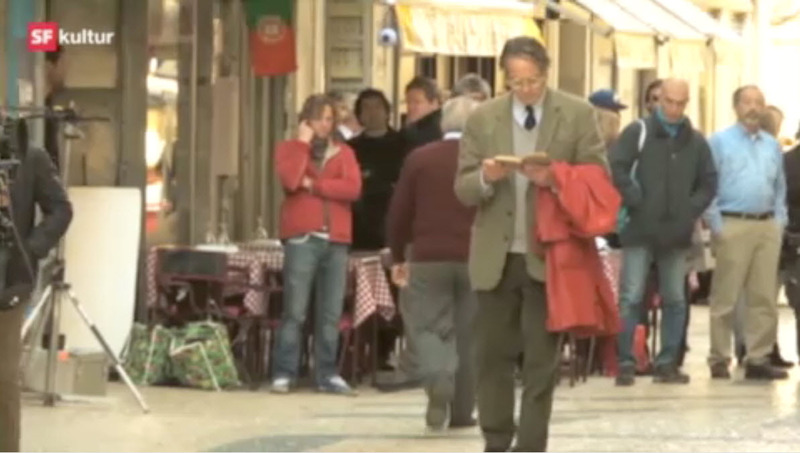 He then found in his coat pockets a book by a Portuguese writer, Amadeo de Prado. 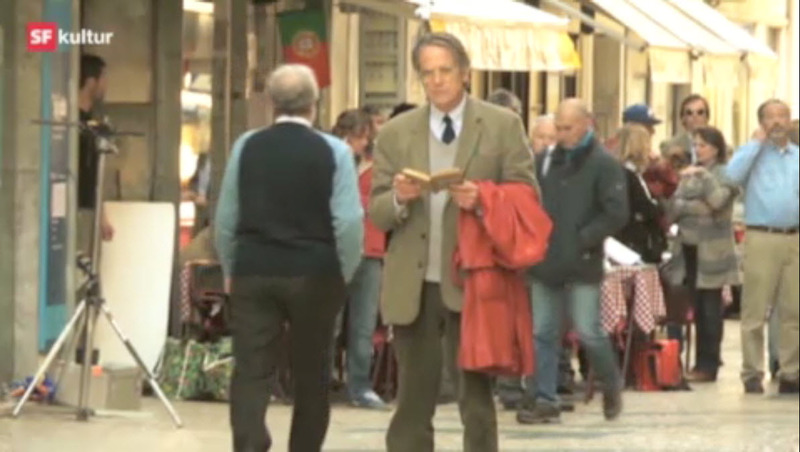 Intrigued by the book and its author, decides to conduct a survey in Lisbon on the life of Amadeo de Prado, a physician active in the resistance anti-Salazar. 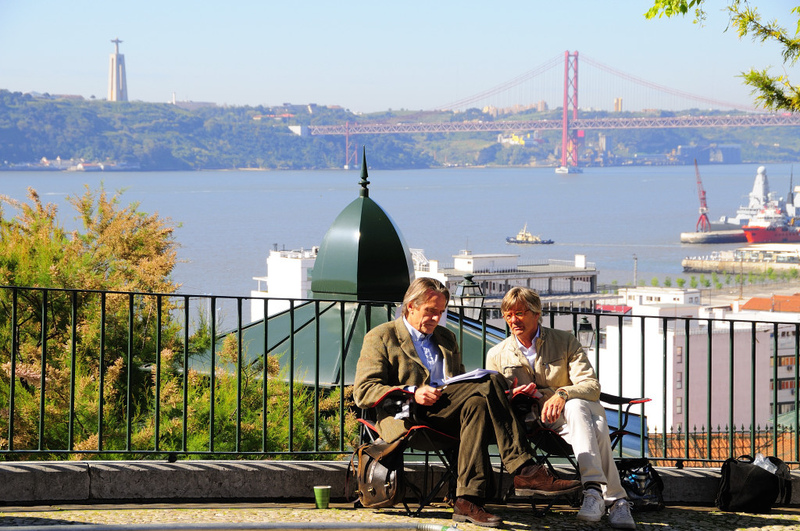 At the same time, it will rebuild your own life from another perspective. 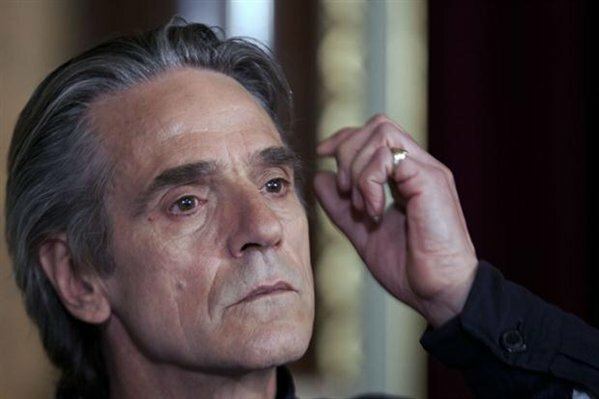 According to Irons, what is interesting in the character is just the fact that he has total control over your life and in an instant, after an unexpected act, adopt a measure that completely strip the usual way – until I realized that after this process became a different man. 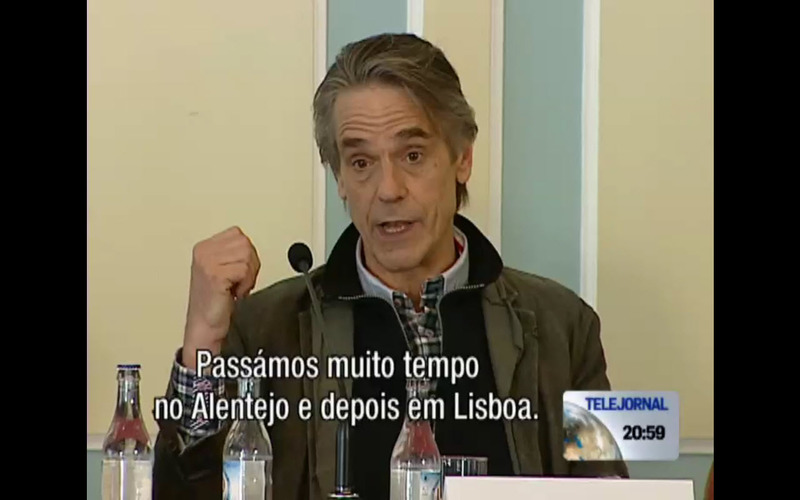 The actor also had high praise for Portugal. 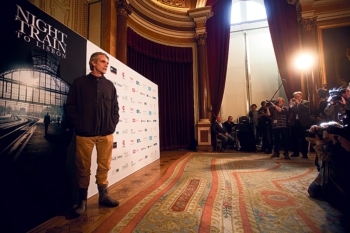 Recalling his stay in another country, said the magic that is a different atmosphere here. 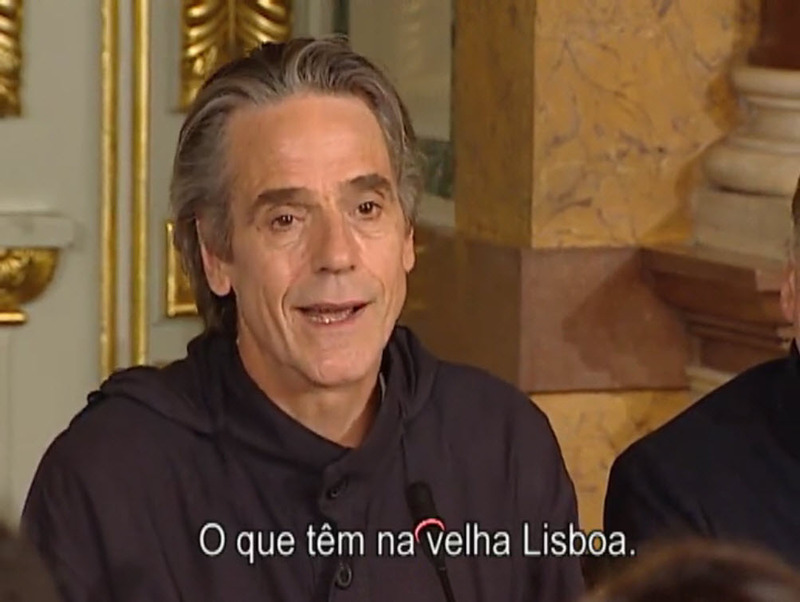 “What I remember is I loved Portugal,” he said. 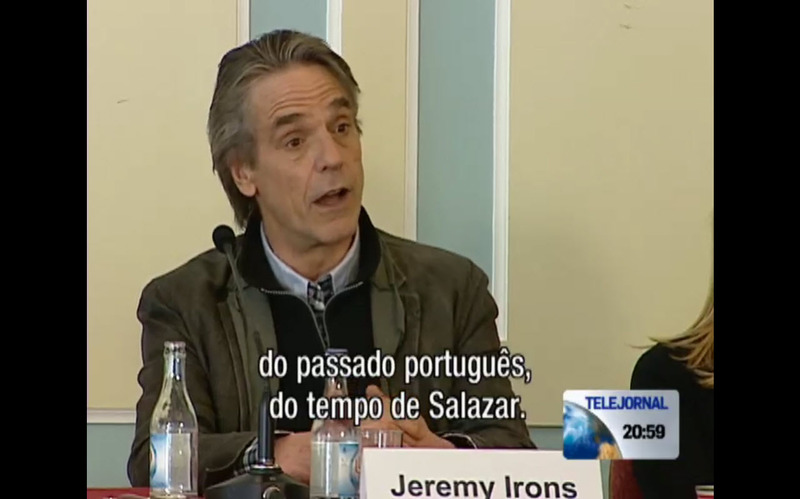 Irons revealed that has not had much time to learn about the period of the dictatorship of Salazar, at which time it becomes part of history. 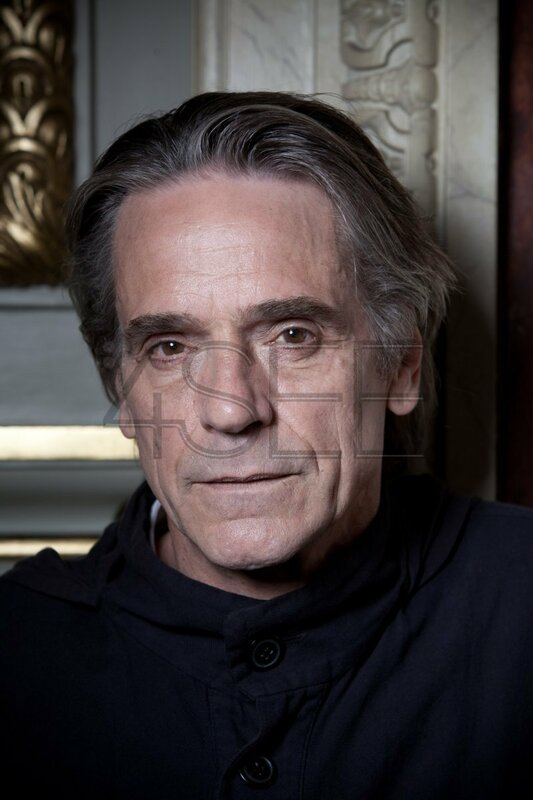 He quipped that just came out of a project based on Henry IV, Shakespeare, and he had to learn a lot about him. 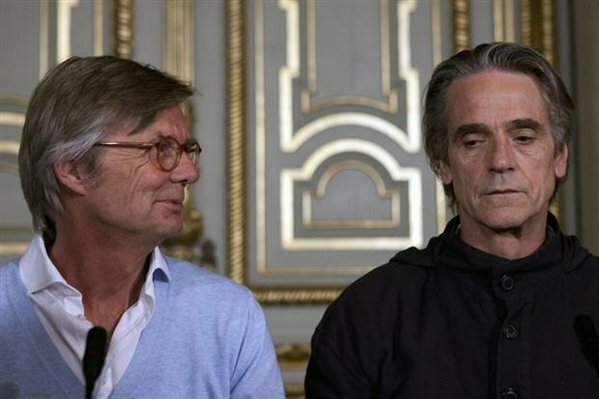 Bille August has already revealed that he was attracted by the prospect of extraordinary events when they occur in the lives of ordinary people – questioning how much change is or is not within reach of each one. 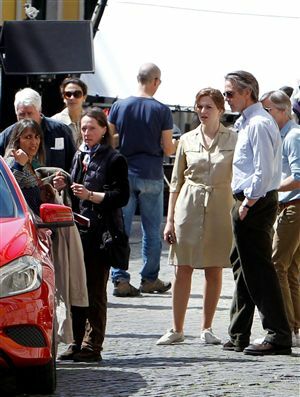 The director did not fail to emphasize the fact that the story was passed in Lisbon was an important factor in its decision to immediately accept the proposal of the German producer Studio Hamburg, without even reading the first version of the argument. 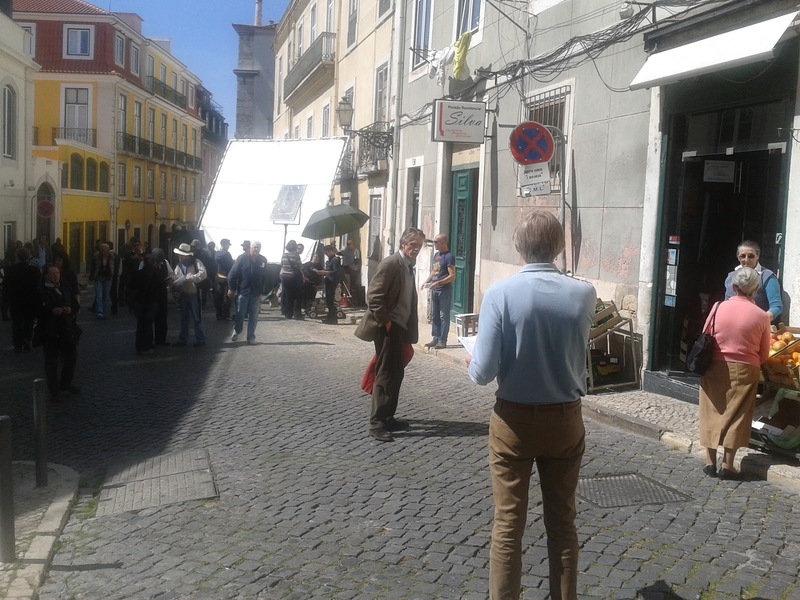 August also said he was thrilled to return – and that the major effort will be trying to capture on film the magic and mystery of the capital Lisbon. 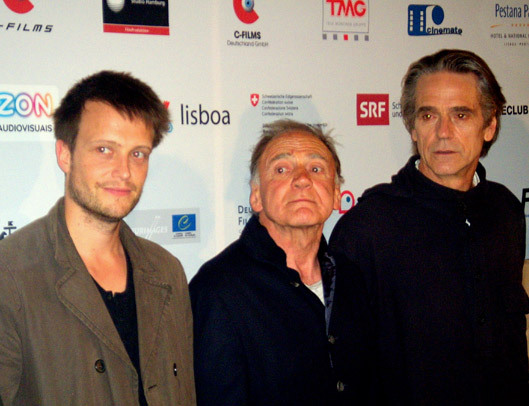 As in “The House of the Spirits”, August surrounds himself with a large international cast. 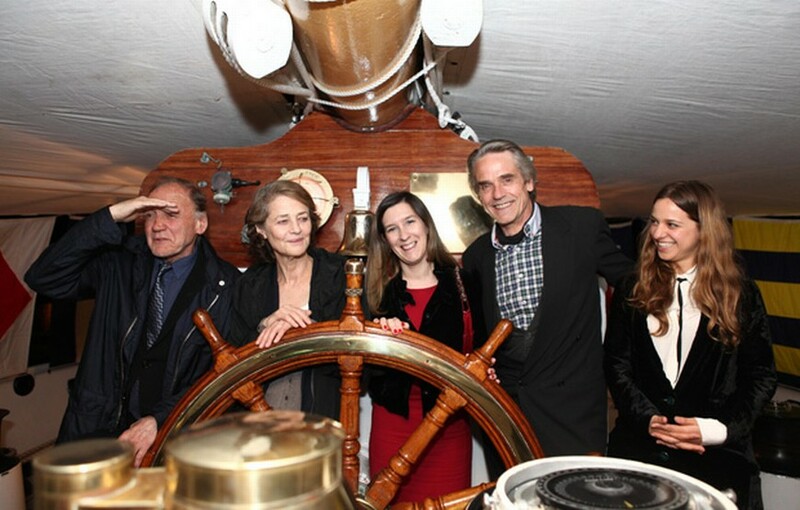 In addition to Irons, Melanie Laurent, Lena Olin, Charlotte Rampling, Bruno Ganz, Jack Huston, Martina Gedek, August Diehl and Christopher Lee completes the main cast. 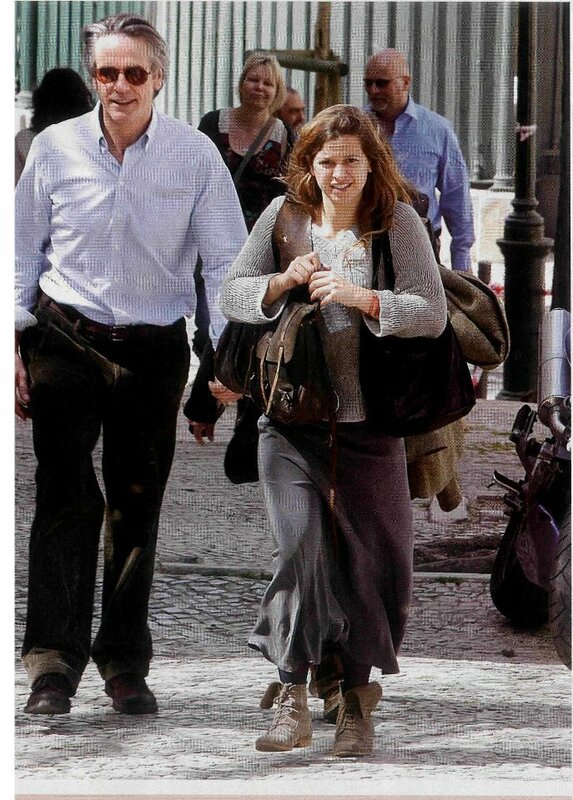 On the Portuguese side, especially Nicholas and Beatrice Breyner Batarda. 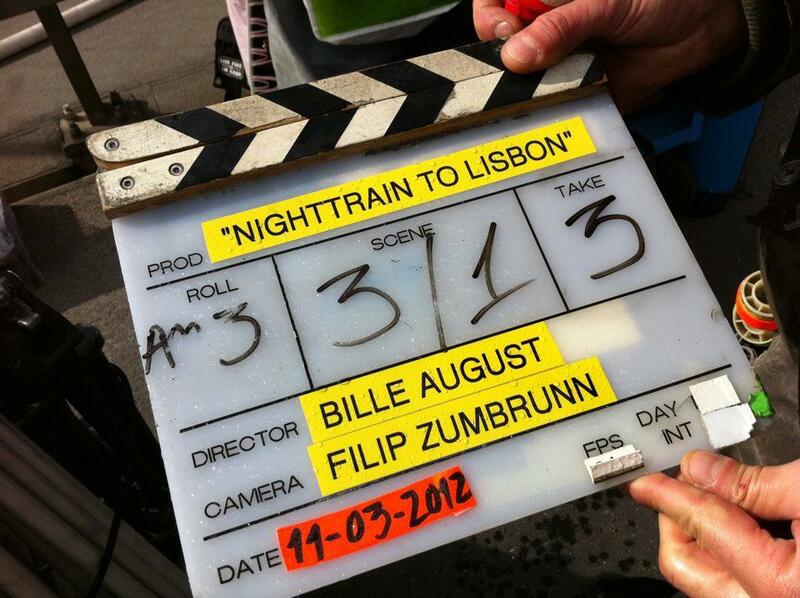 “Night Train to Lisbon ‘will cost £ 7.7 million. 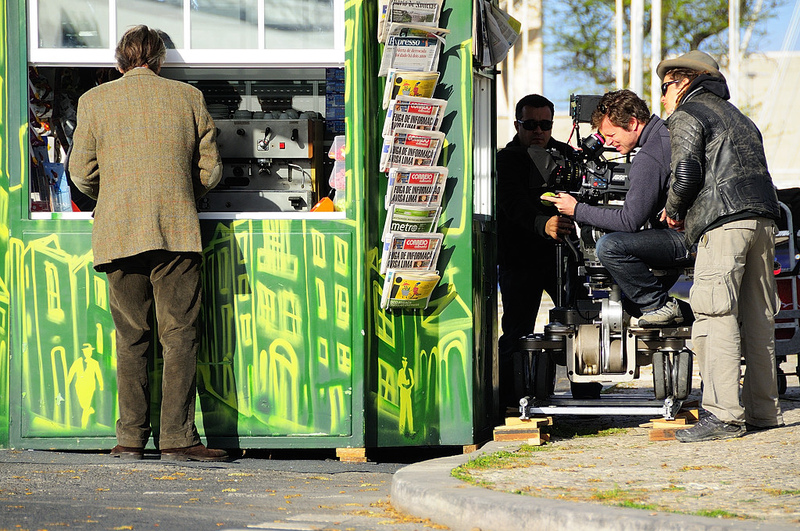 In addition to producing German, Swiss and C-Films CineMate by the Portuguese side, co-produce the film. 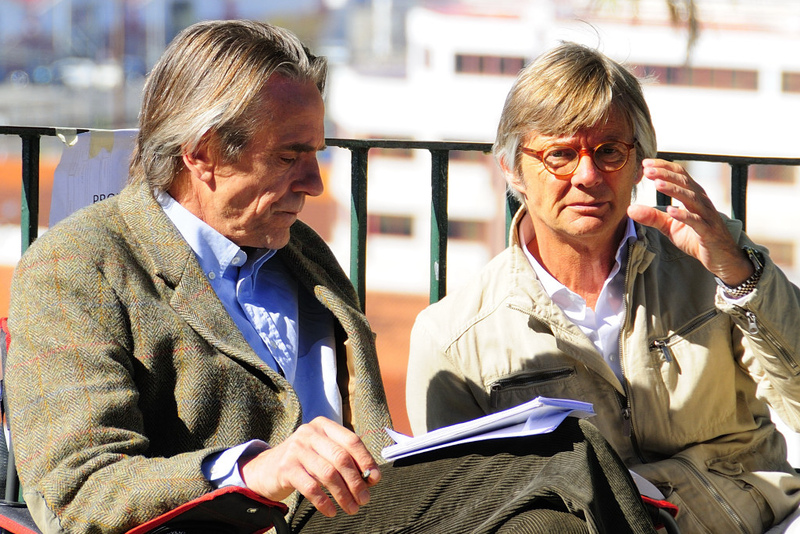 It will be launched in 2013, distributed by Zon Lusomundo in Portugal and abroad by German K5. 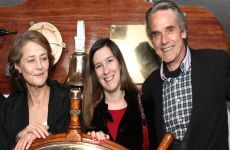 The co-producer of the Portuguese side, Ana Costa, stressed the importance of a project size international prestige for the dissemination of Lisbon in the world. 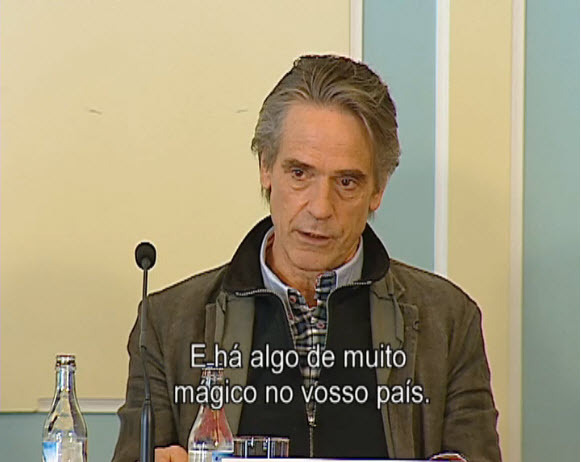 “It’s the first time a work of this size takes its name from Lisbon in the title,” he said. 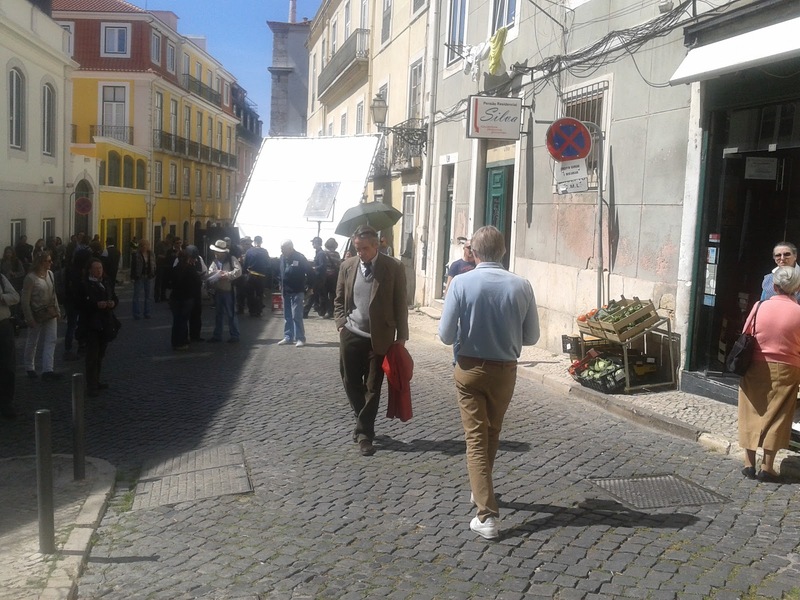 About 90% of the film will be shot in Lisbon, with a few more scenes in Caxias and Palmela – beyond those already filmed in Bern. 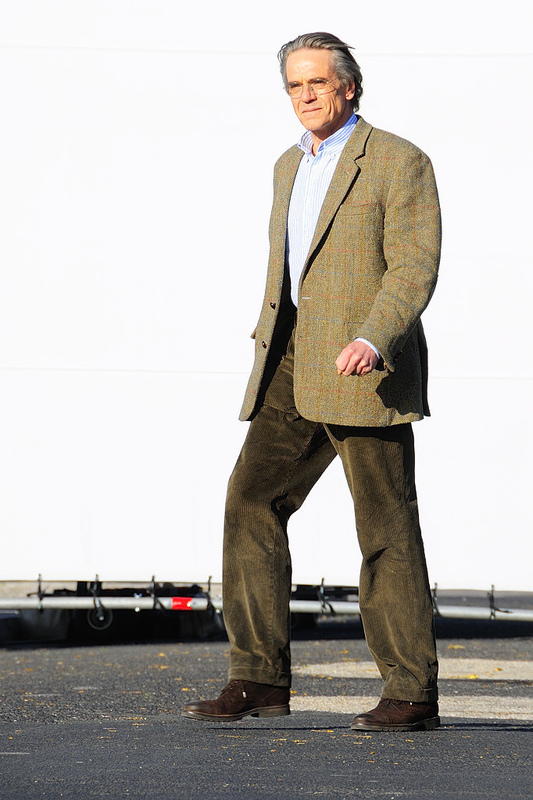 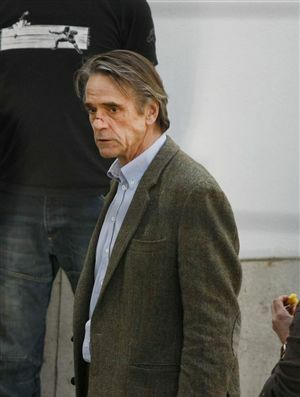 Costa estimates that around £ 3.5 million will be spent in the capital with the filming of the movie. 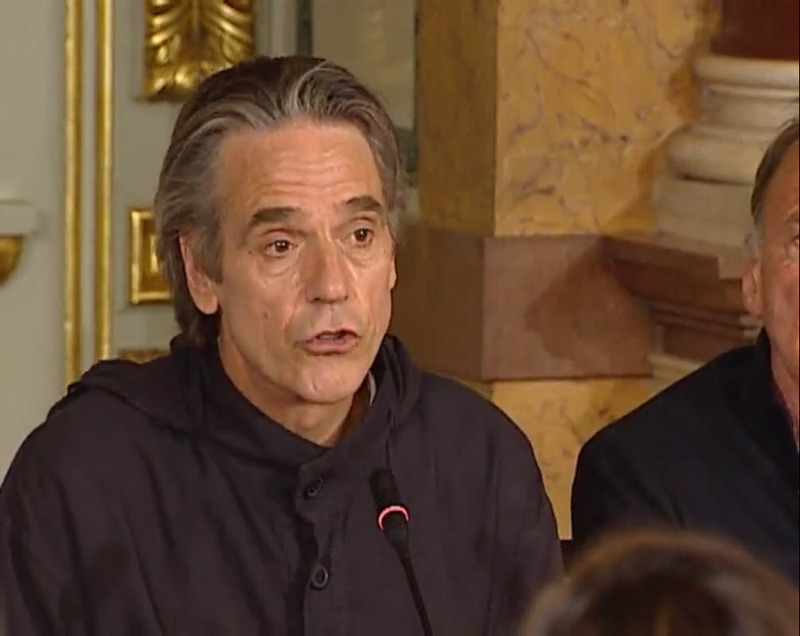 This information reinforces the idea defended by a representative of Studio Hamburg, Russ Günther, that any funding of cinema in Portugal, particularly the state should see it, not as entertainment but as an economic activity generating resources for the country – and co-productions are good solutions for the continuation and funding of Portuguese cinema in times of crisis. 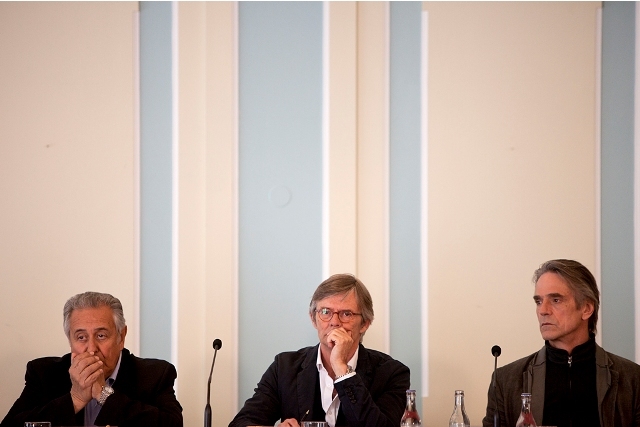 The other studio representative, Kerstin Ramcke, gave information about the project, which already takes six years. 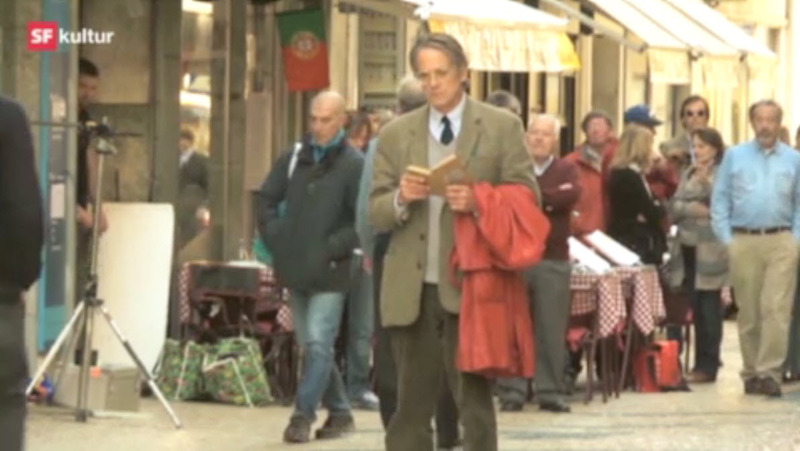 First came the difficulties of transposition of the book to film, since it is largely focused on philosophy. 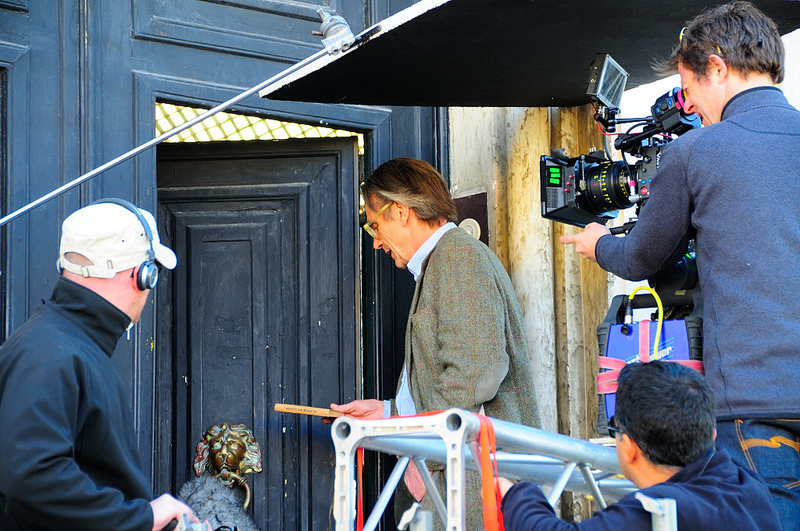 Then were the obstacles inherent in a large production, with the search for co-producers and sponsors. 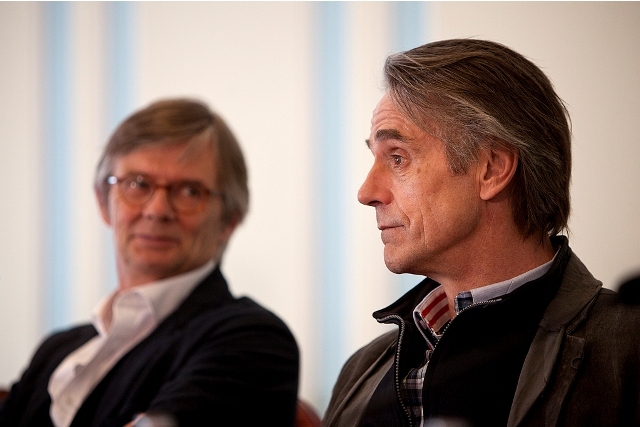 The filmmaker Bille August has given its OK for two years and Irons confirmed their participation after one year. 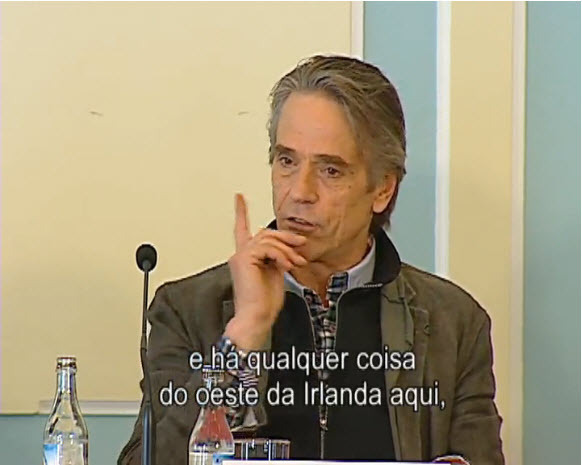 Mercier’s book, already translated into Portuguese, was a major bestseller in German in recent years. 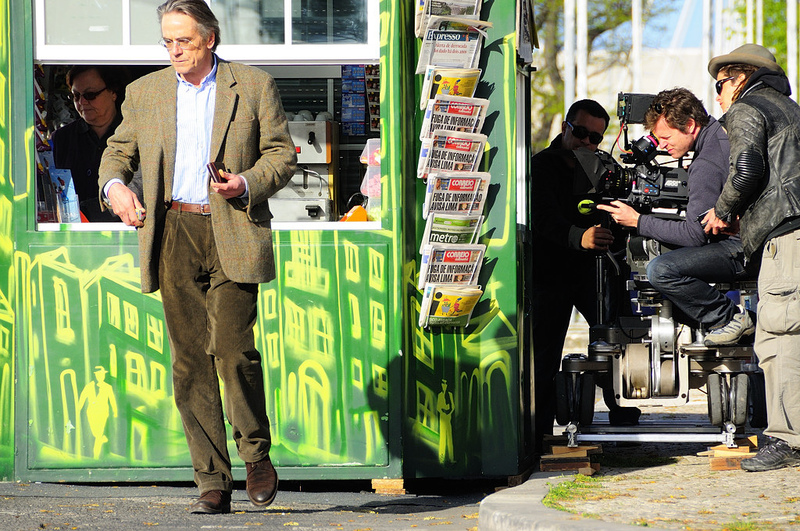 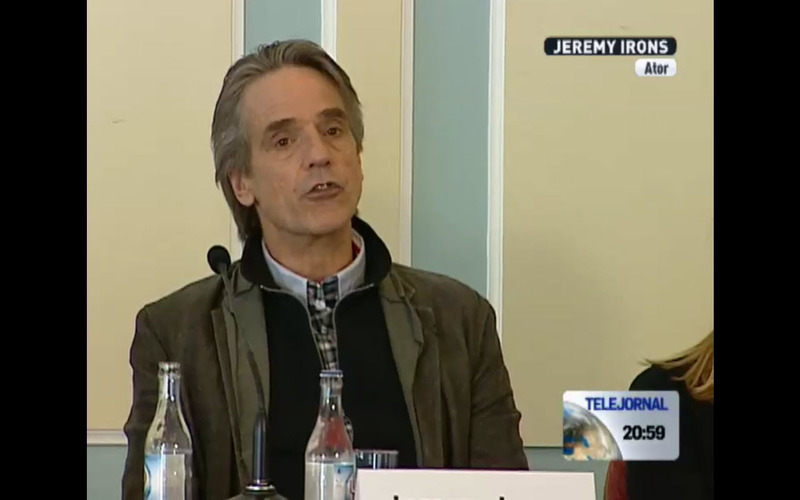 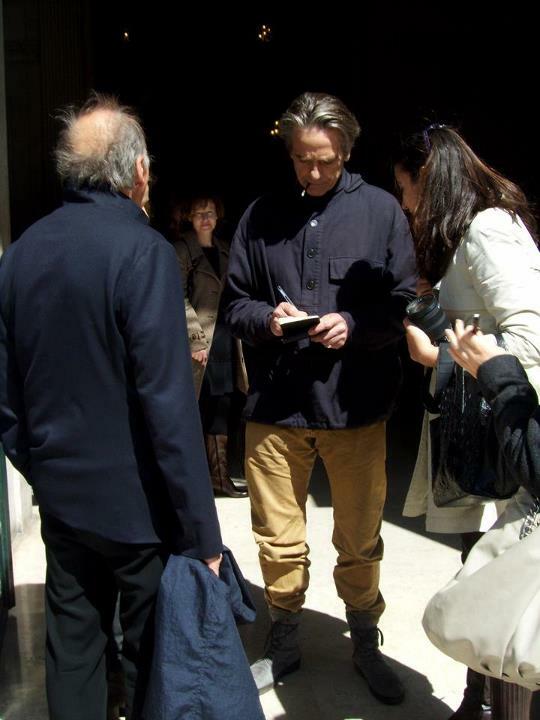 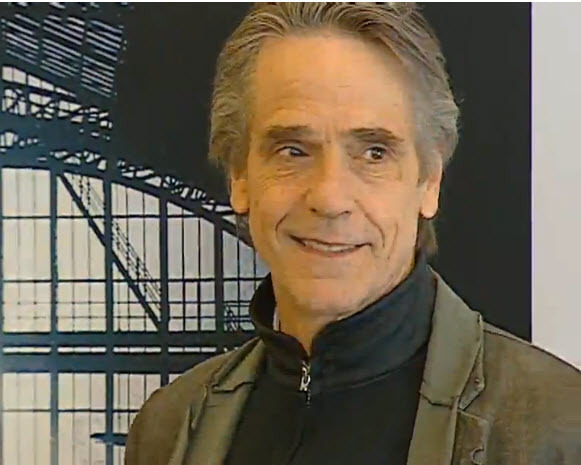 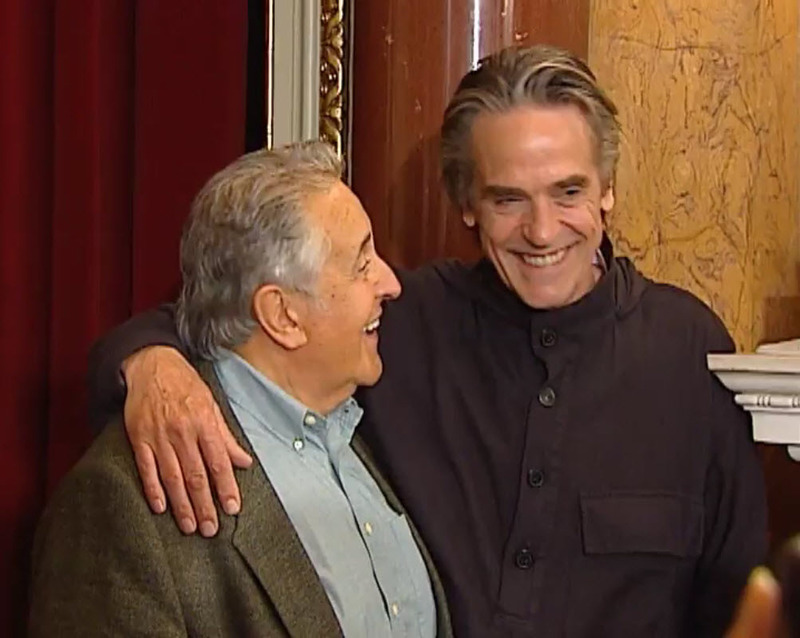 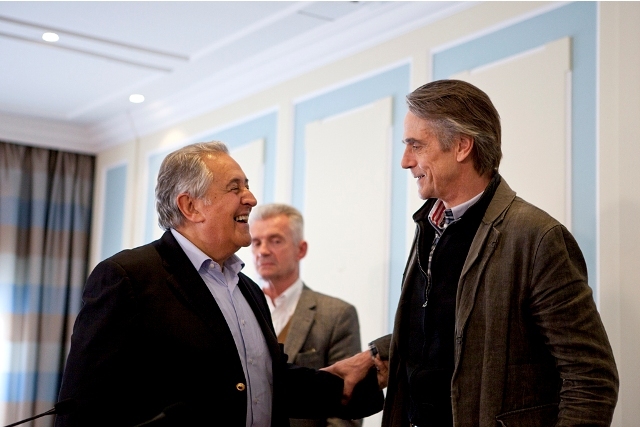 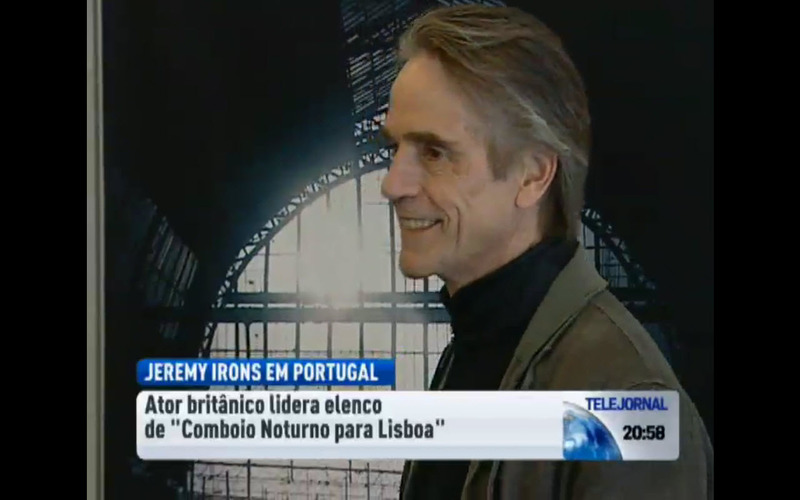 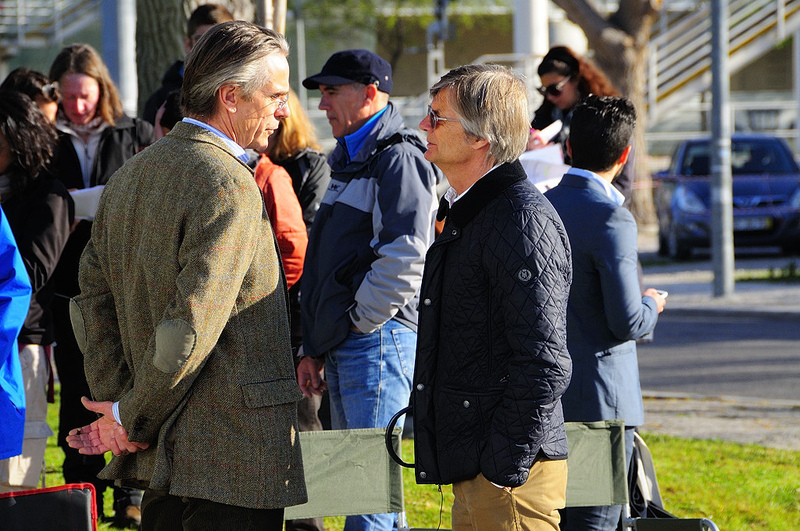 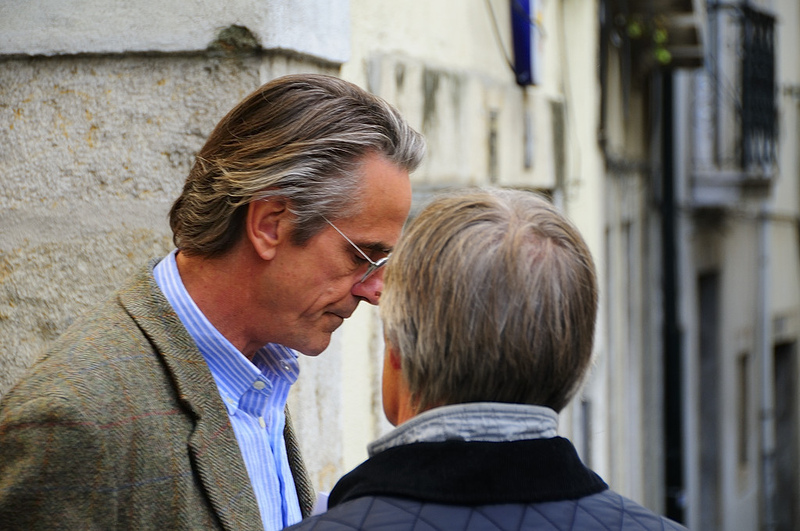 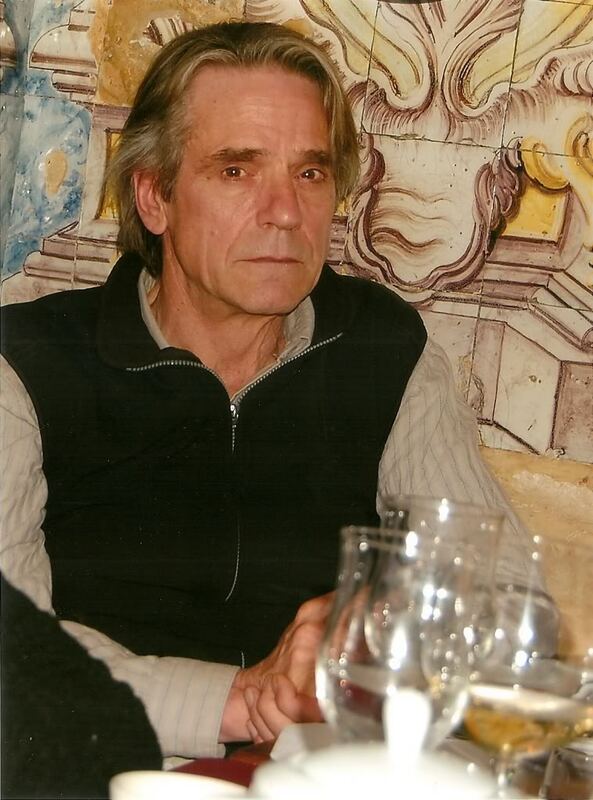 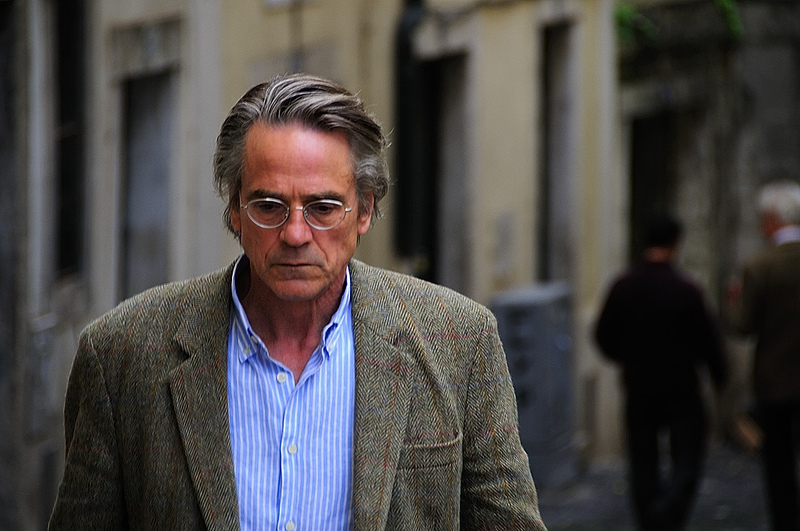 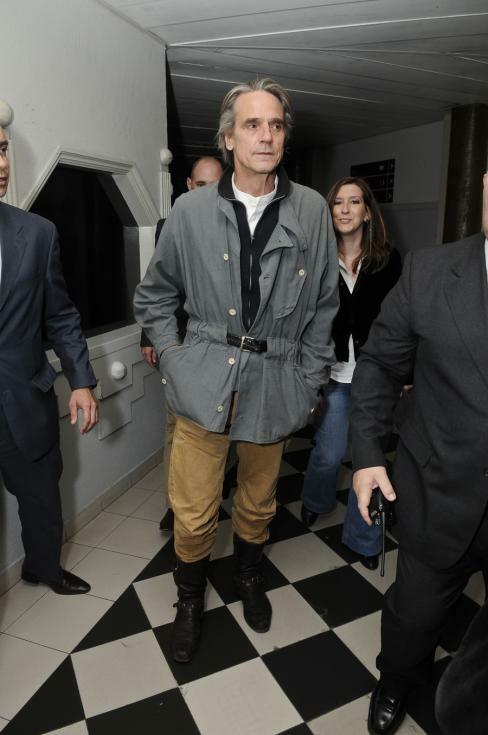 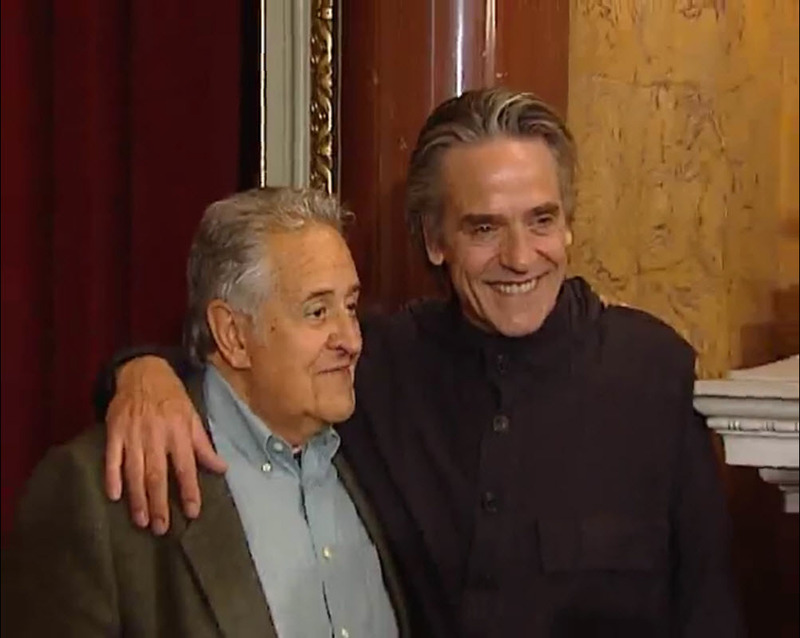 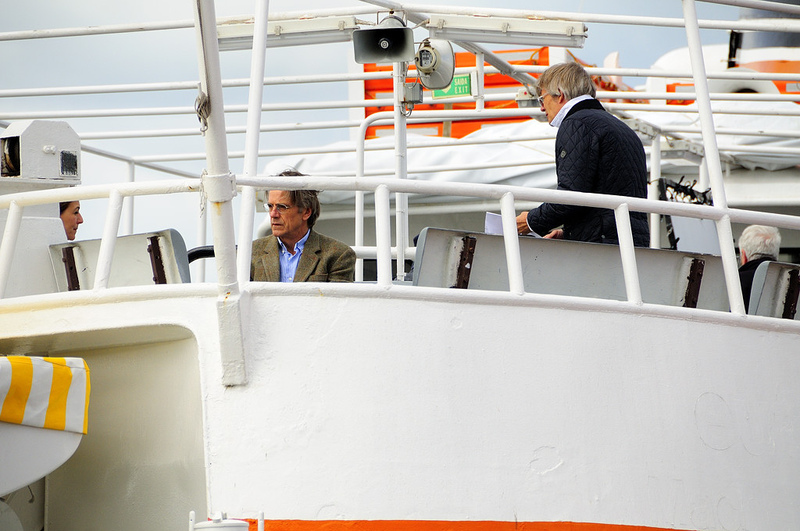 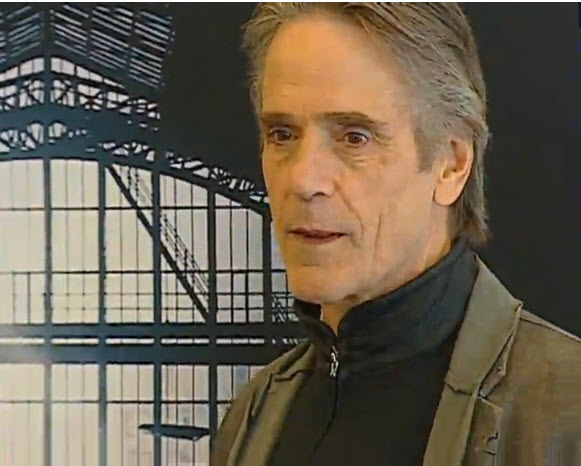 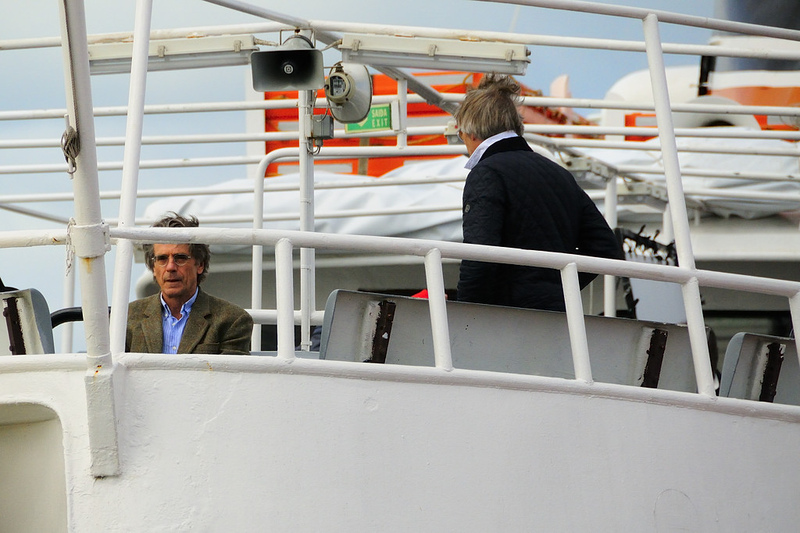 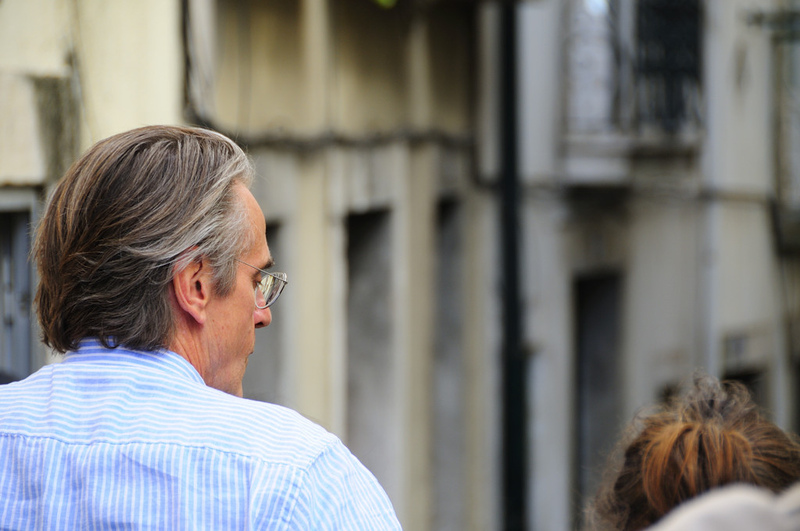 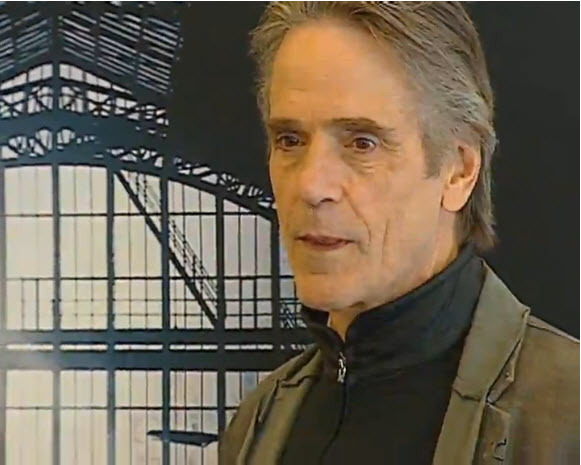 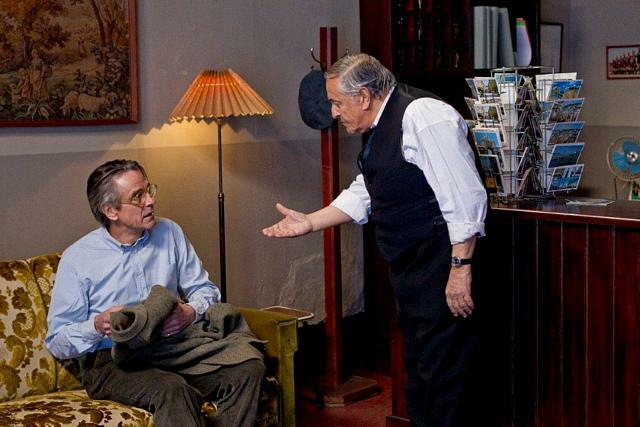 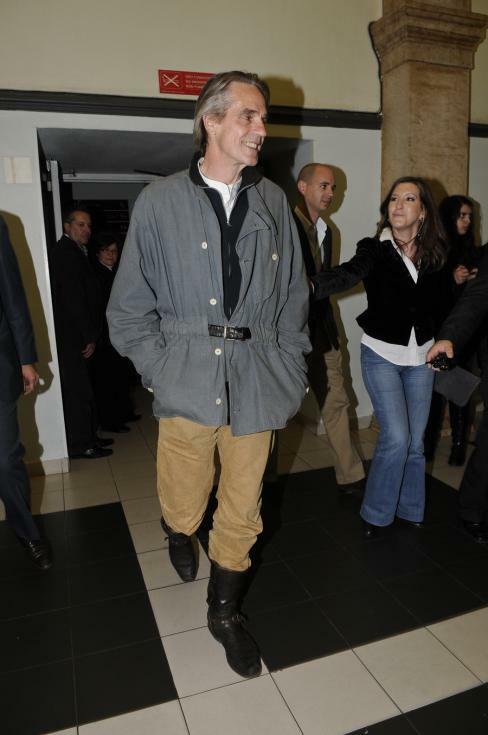 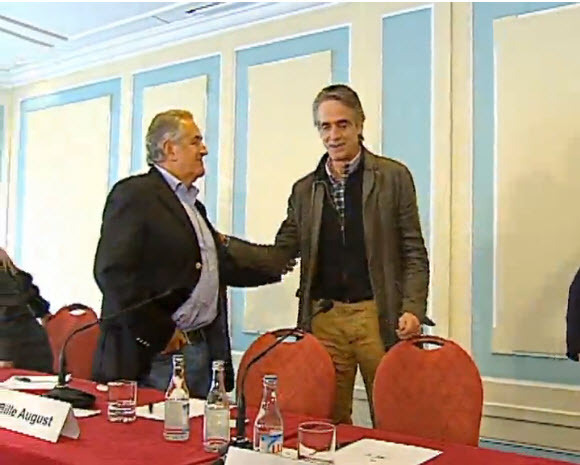 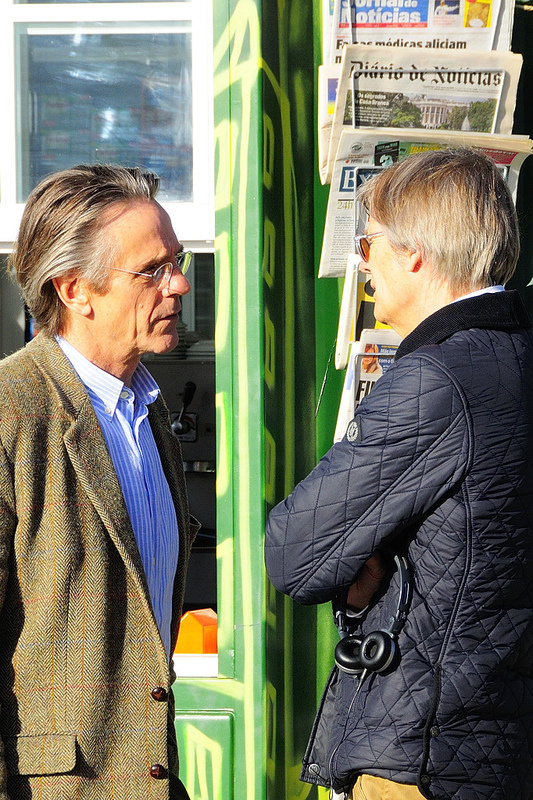 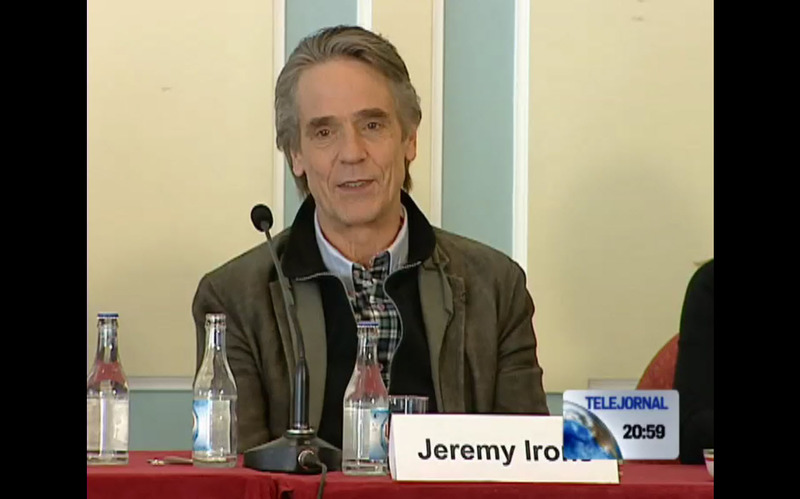 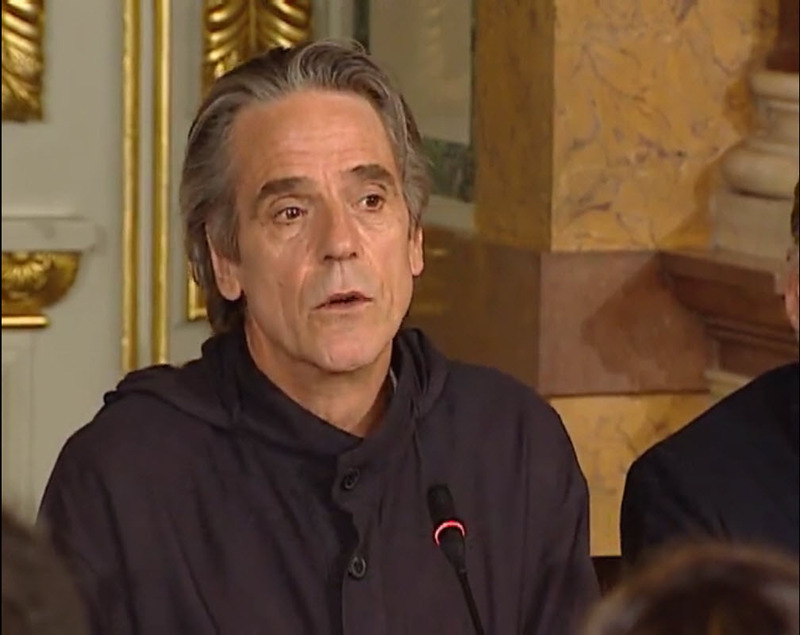 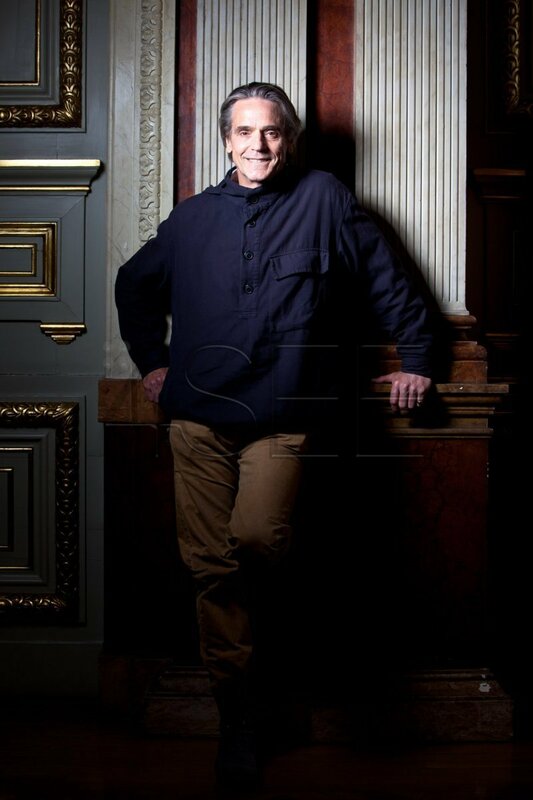 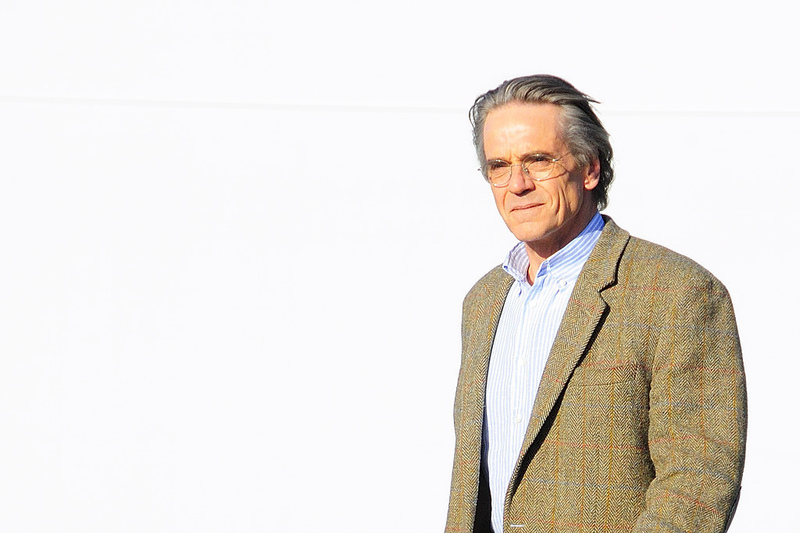 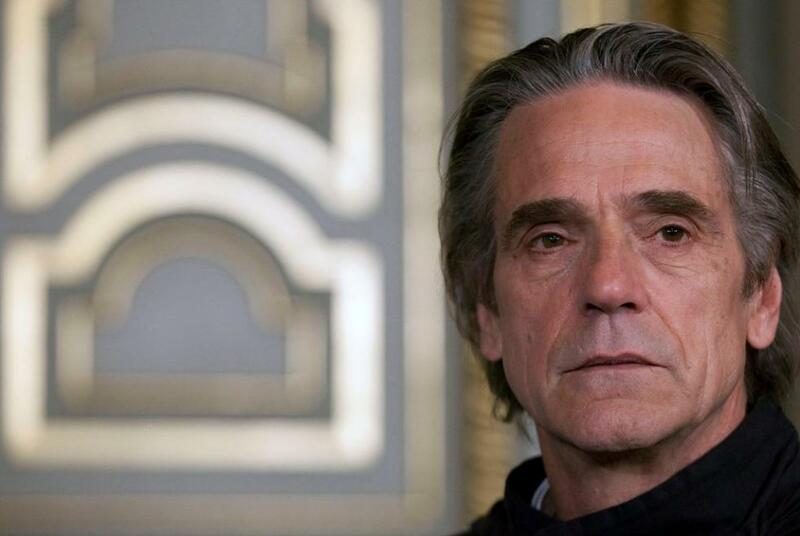 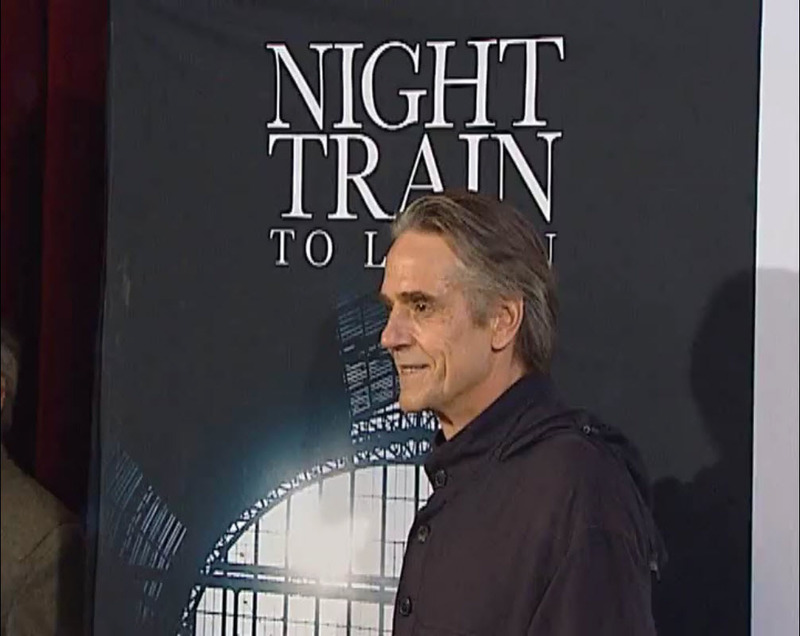 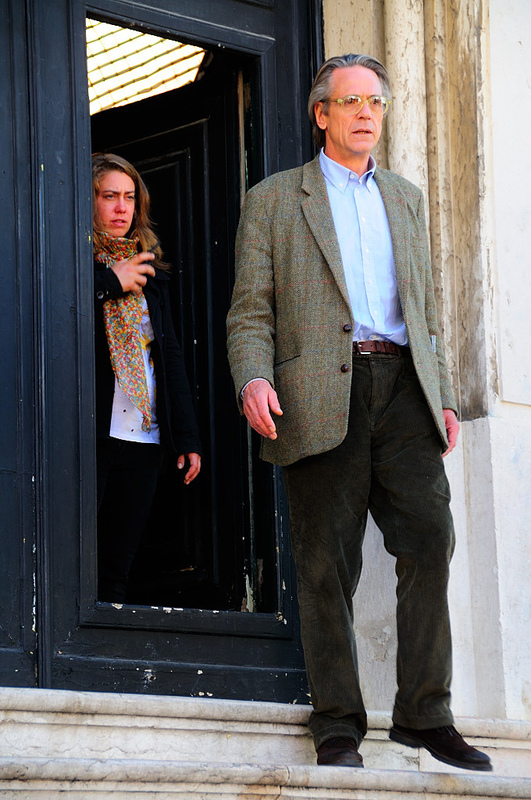 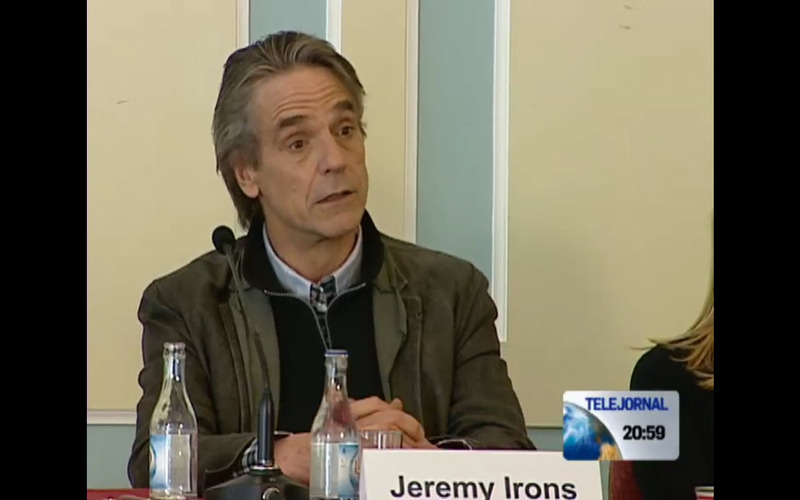 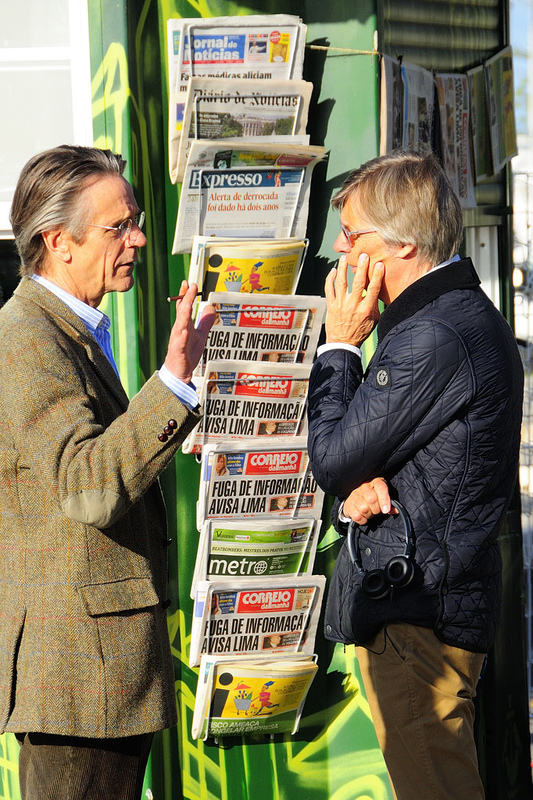 (TRAVPR.COM) USA – April 13th, 2012 – Actor Jeremy Irons, who is in Lisbon filming the movie “Night Train to Lisbon,” yesterday praised the quality of Portuguese cuisine, the “magic” of the Fado music and the beauty of the nation’s landscapes. 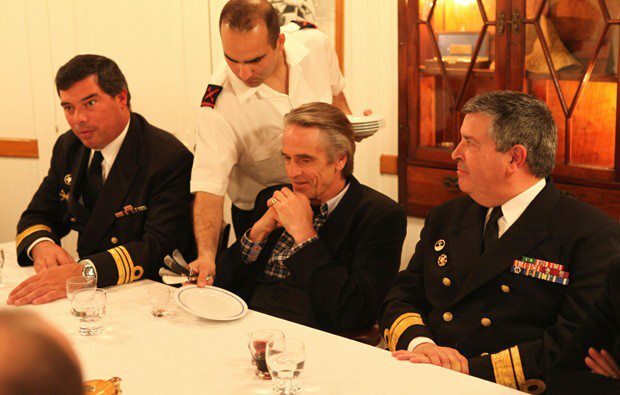 During a dinner aboard the Portuguese Navy’s historic tall ship Creoula, in the presence of Secretary of State for Tourism, Cecilia Meireles, Irons referred to Lisbon as a “unique place” in Europe, combining hills, small cobbled streets, preserved heritage and a unique luminosity. 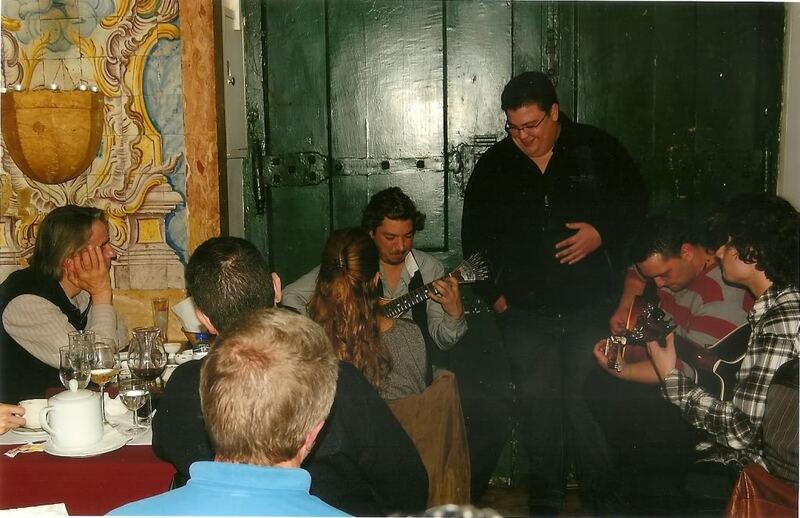 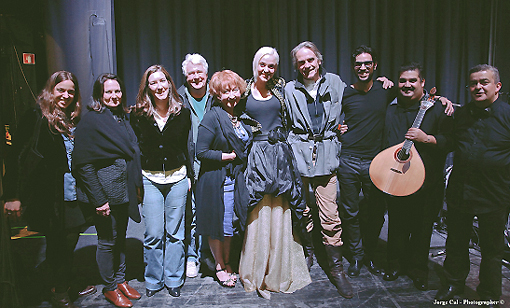 During filming in Portugal, the cast has had the opportunity to enjoy a night of Fado music which left Jeremy Irons surprised with this truly Portuguese musical genre, and with the voices of a new generation of artist: “It was three quarters of an hour absolutely magical and unbelievable”. 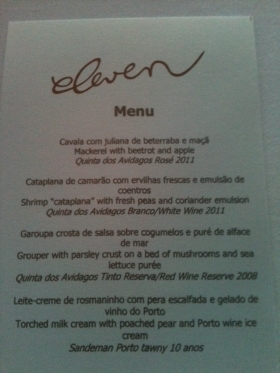 Moreover, Irons pointed out his passion for Portuguese cuisine: “The fish you eat here (in Portugal) is just fantastic! 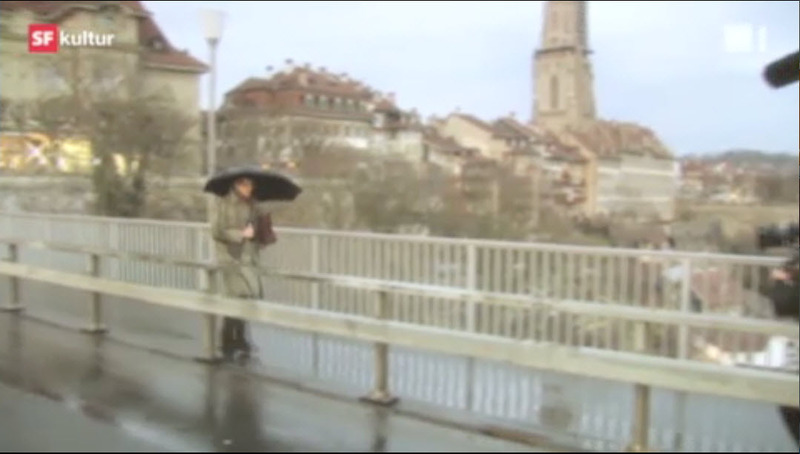 I would live here just because of the fish”. 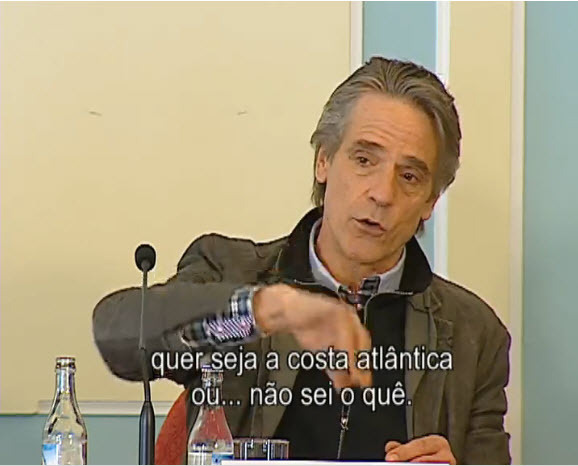 He was surprised to hear that many internationally renowned restaurants, including ones in New York, only serve fish caught in Portugal. 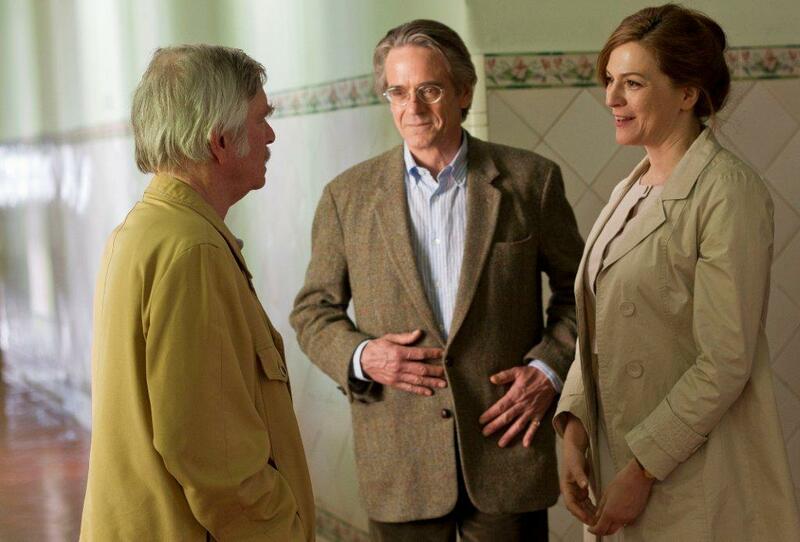 Accompanied by the other stars from the movie (Bruno Ganz and Charlotte Rampling) Irons also referred to the beauty of the beaches on the Alentejo coast, one of the locations where the movie takes place. 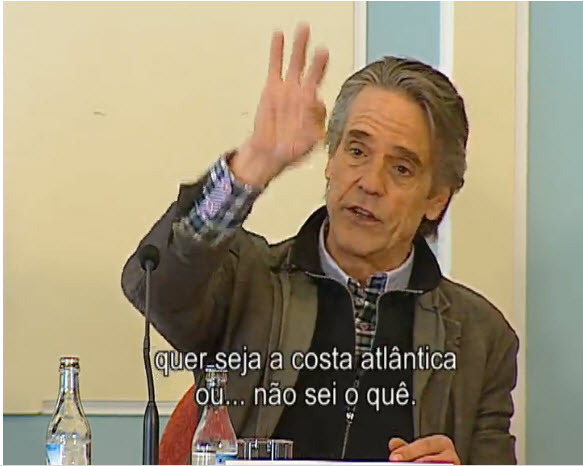 In addition, he is interested in the unique relationship between Portugal and the sea with more than 400 miles of coastline and where some of the most beautiful beaches in Europe are found. 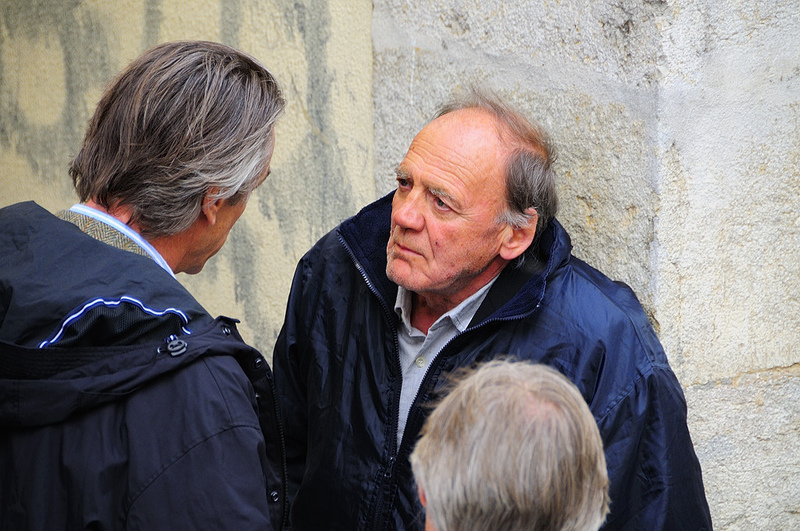 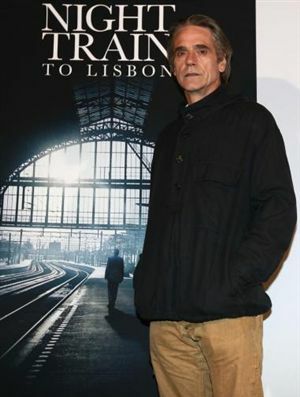 Pascal Mercier’s novel “Night Train to Lisbon” is the basis of the film by Danish director Bille August, being shot take in Lisbon until May 2012.